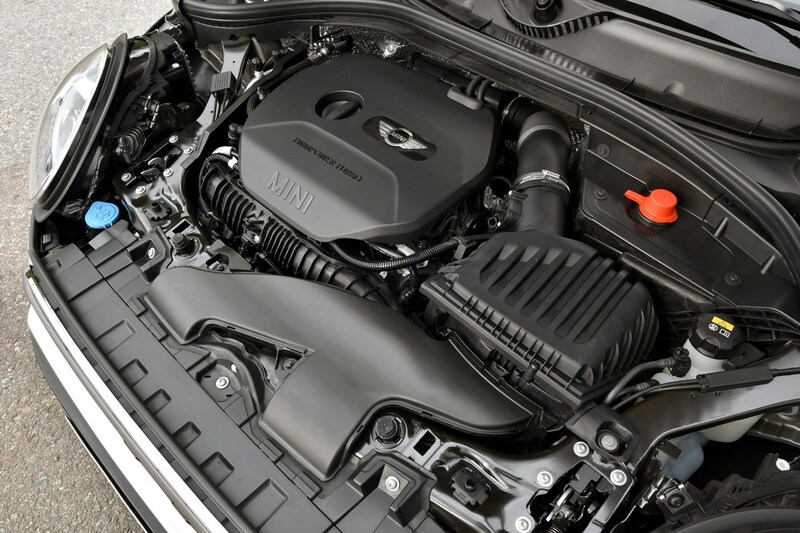 Insurance group: 12 - 33 How much is it to insure? 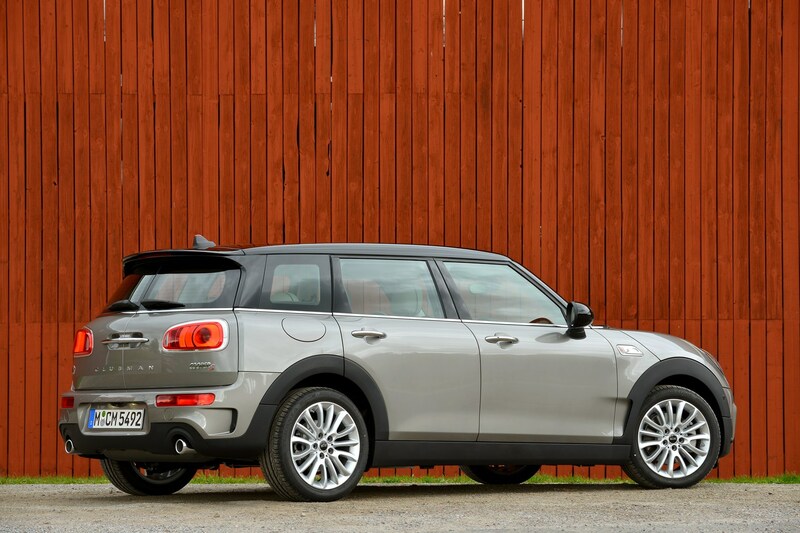 In our previous MINI Clubman estate review we found it was a curious - and slightly flawed - alternative to the family hatchback status quo, with chocolate-box looks and signature barn-door tailgate. 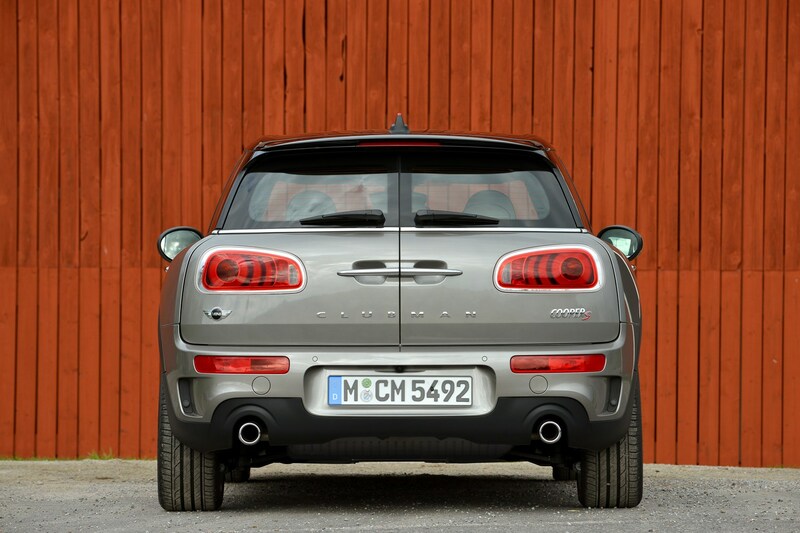 Now in its second modern generation, this new car promises to address the problems that haunted its predecessor - not least the lack of proper rear doors. 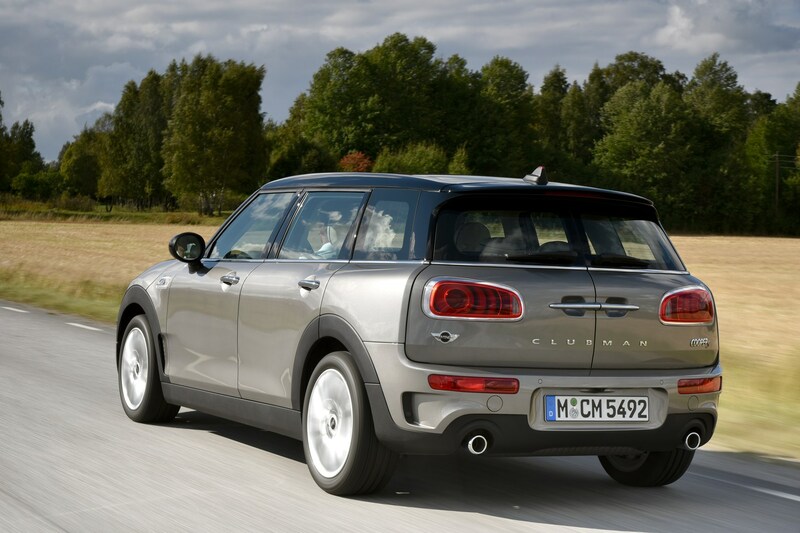 With characterful engines, an engaging drive, and an interior that would worry premium rivals like the VW Golf, BMW 1 Series, and Audi A3, the new Clubman is a serious contender in a busy marketplace. 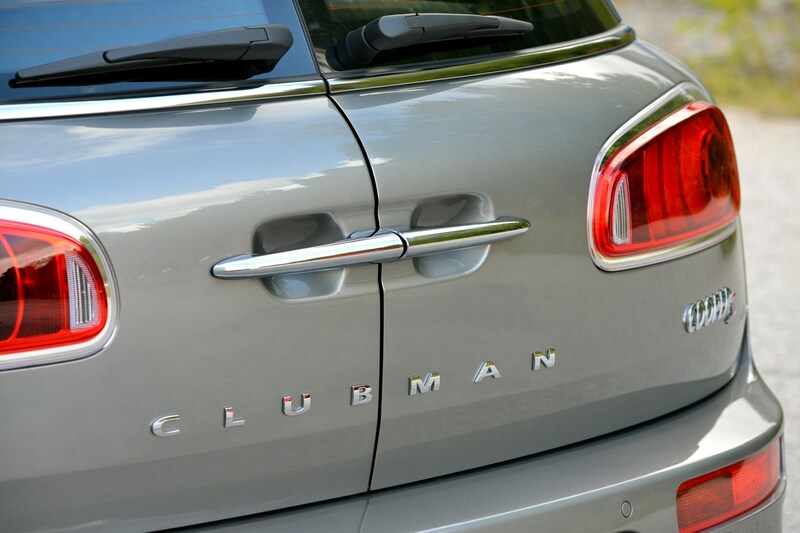 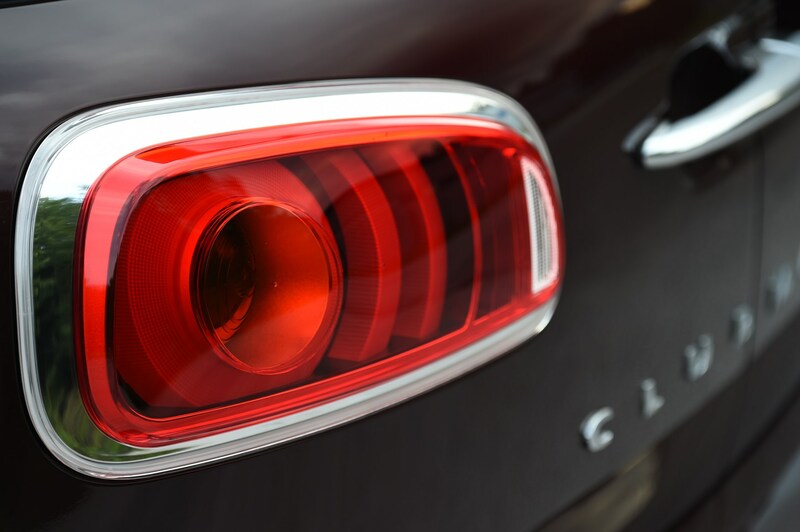 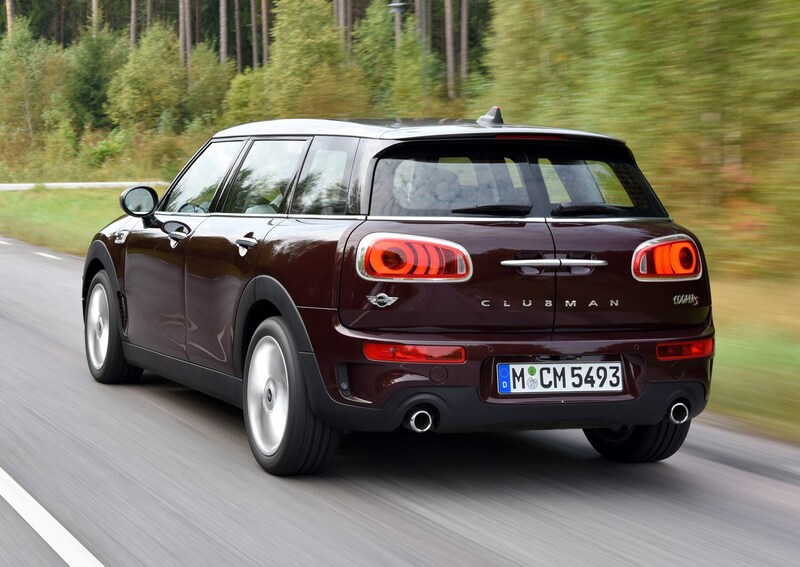 Those familiar with the MINI hatchback line-up will feel at home with the new Clubman. 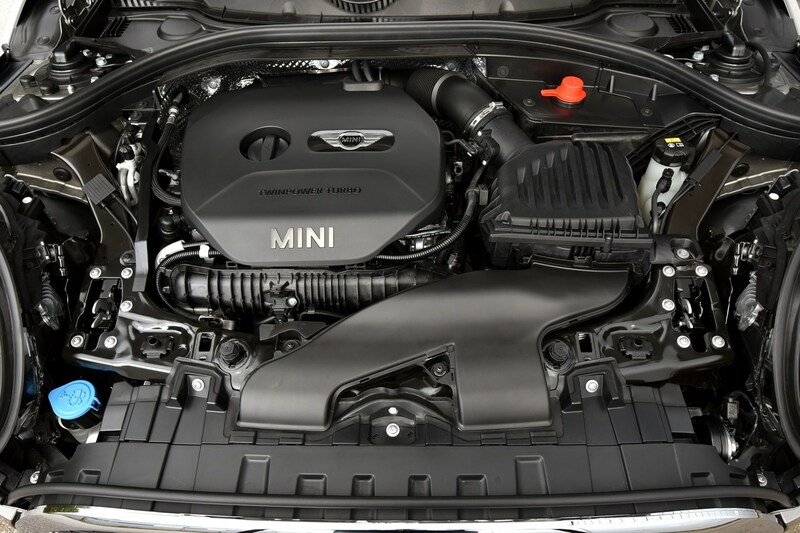 There are four engine and trim choices available in two tiers from launch. 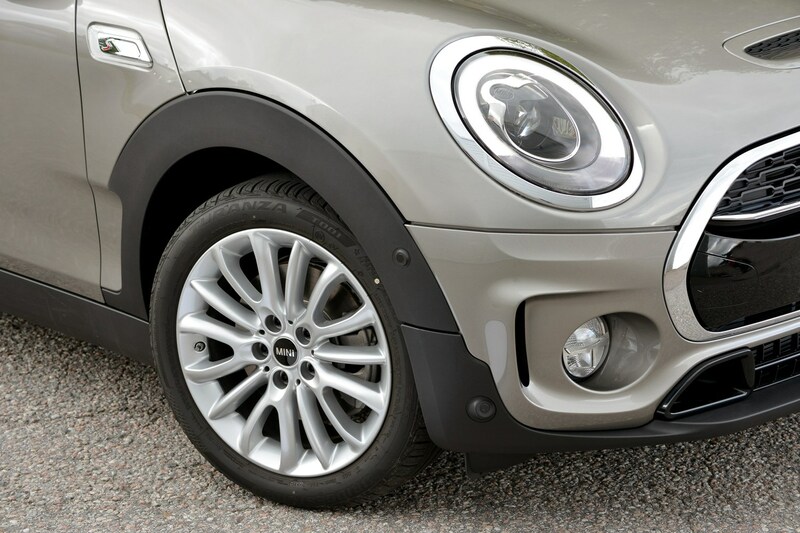 The petrol Cooper and diesel Cooper D share equipment, as do the sportier petrol Cooper S and diesel Cooper SD. 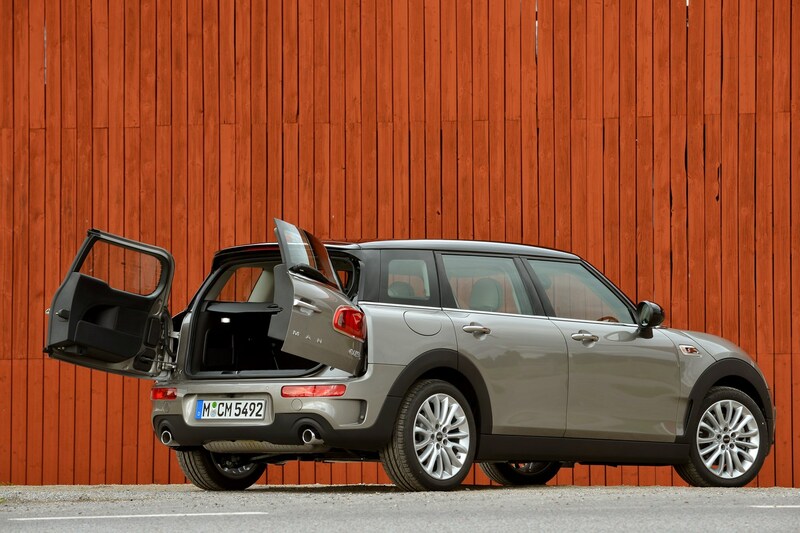 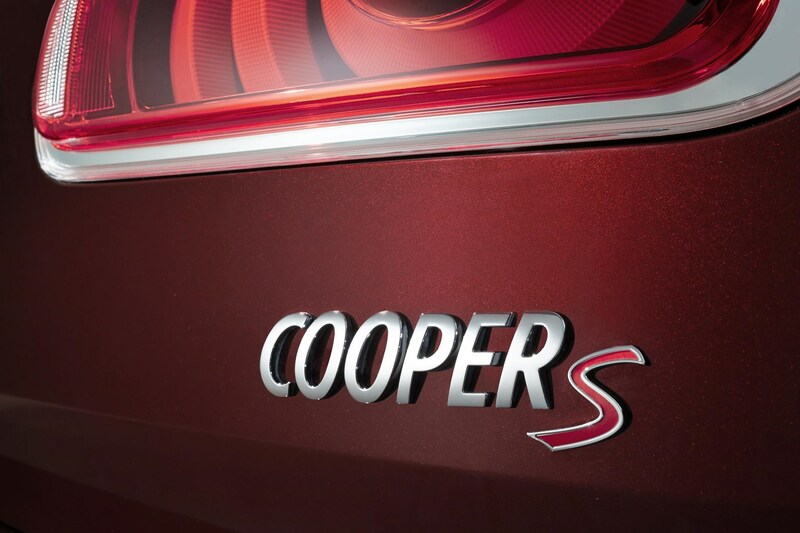 Fleet buyers attracted to the extra doors will appreciate the low emissions of the Cooper D, which claims 109g/km and 68.9mpg. 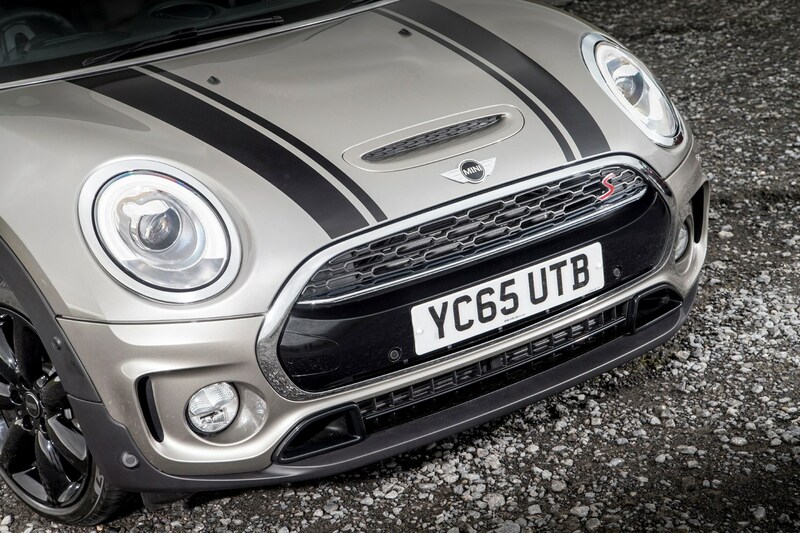 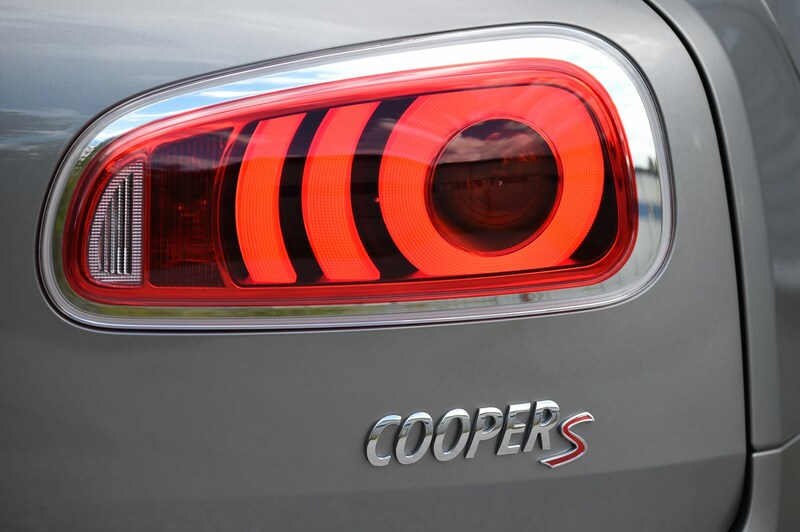 Those in search of thrills are catered for by the Cooper S, which can sprint from 0-62mph in 7.2 seconds thanks to 189bhp. 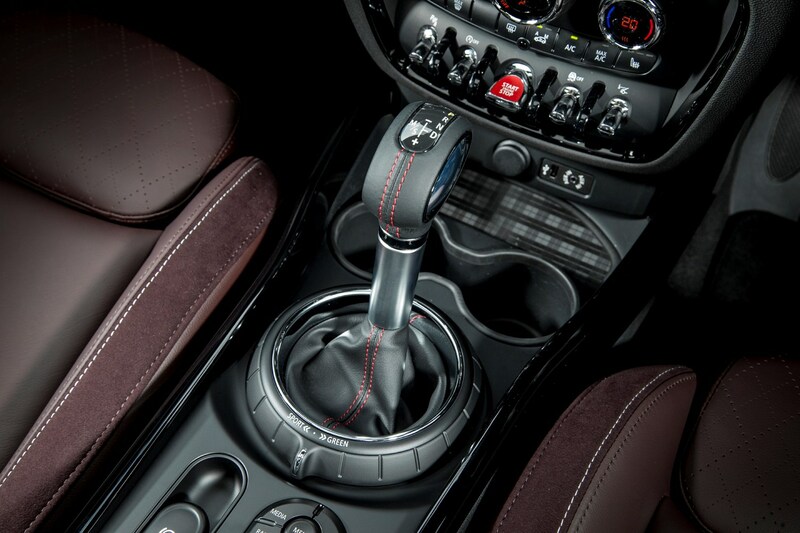 Also new is a smooth and rapid automatic eight-speed gearbox, available on everything except the entry-level Cooper. 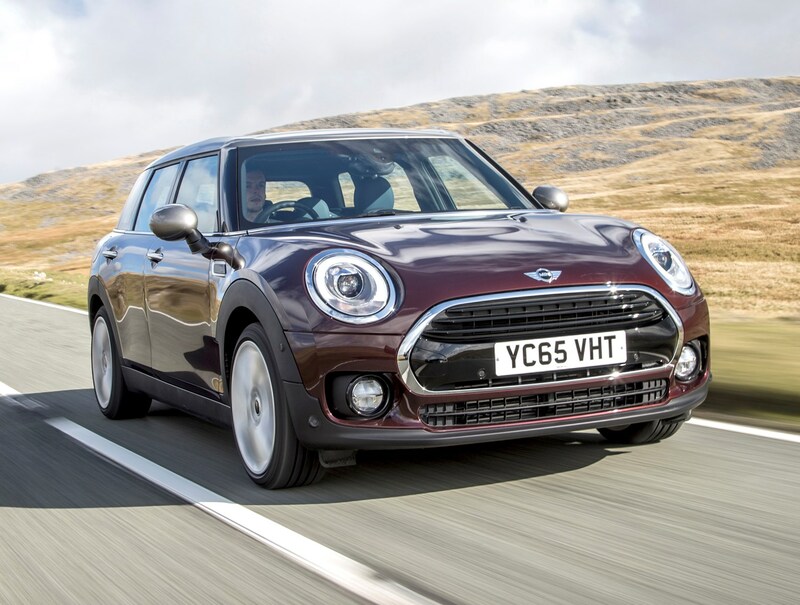 As the range misses out the usual base-spec One grade and goes straight in at Cooper, the standard equipment list is extensive. 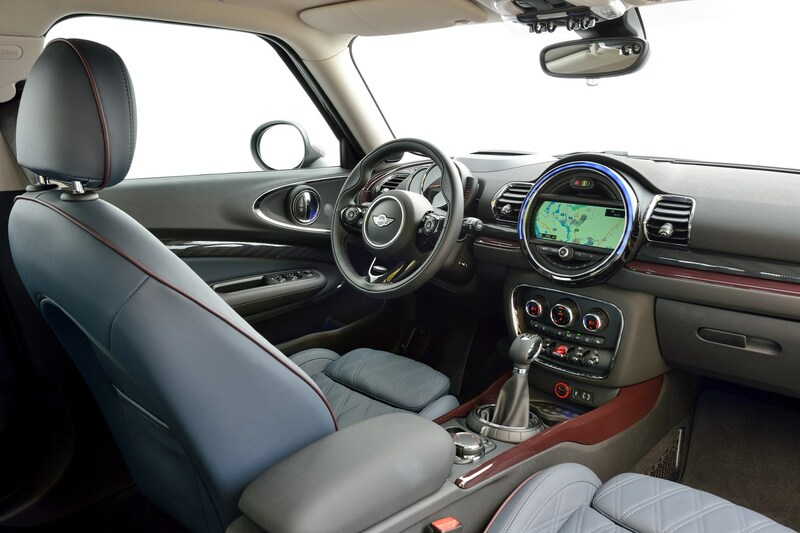 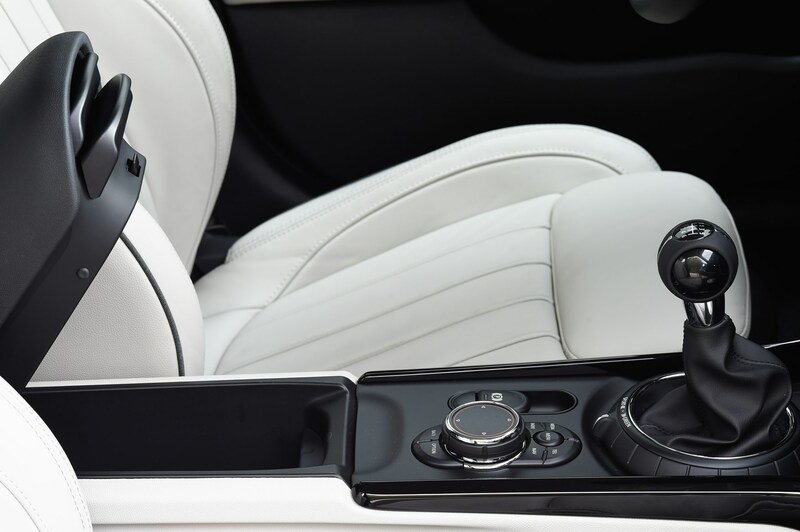 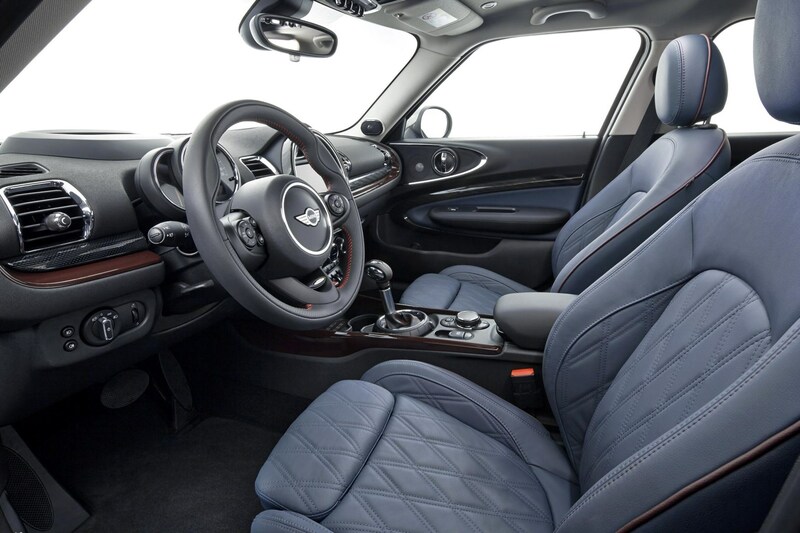 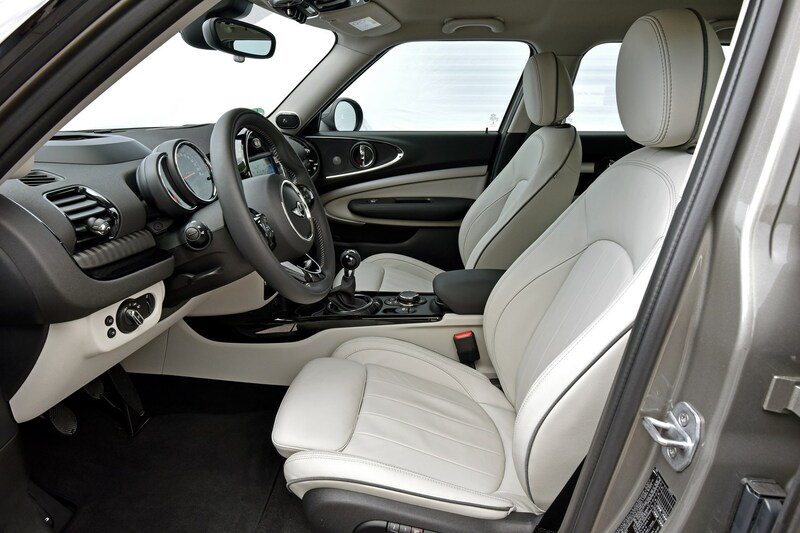 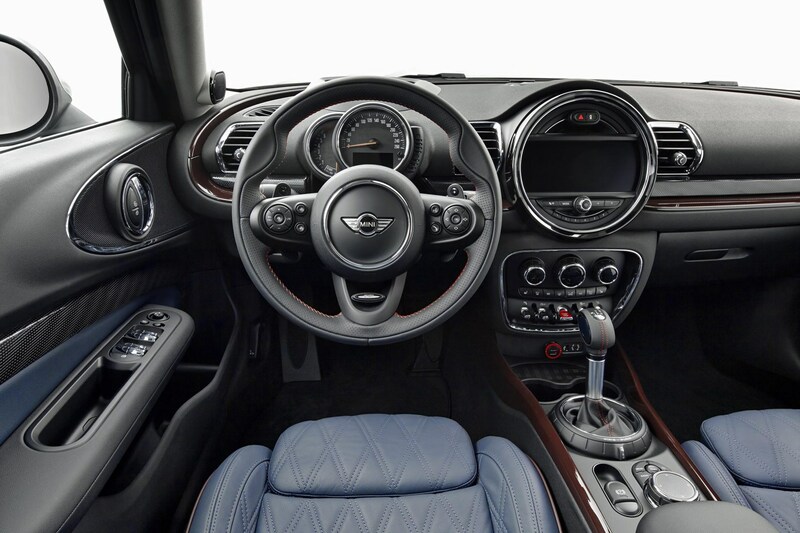 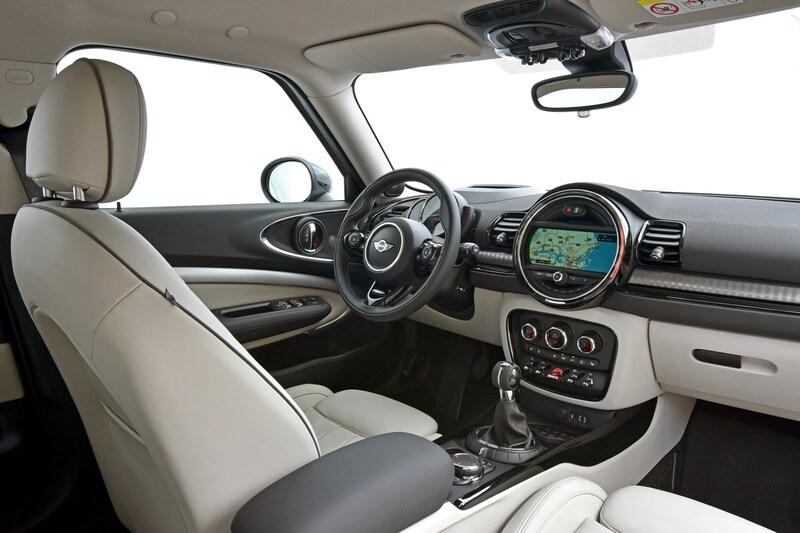 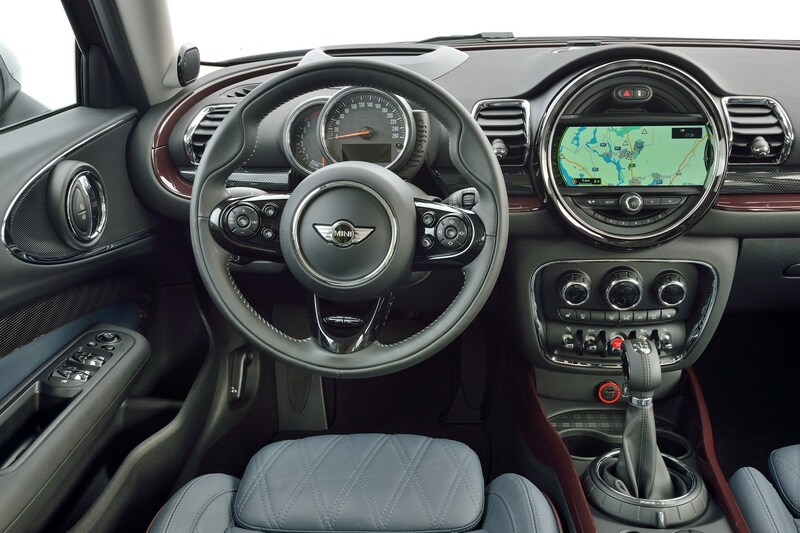 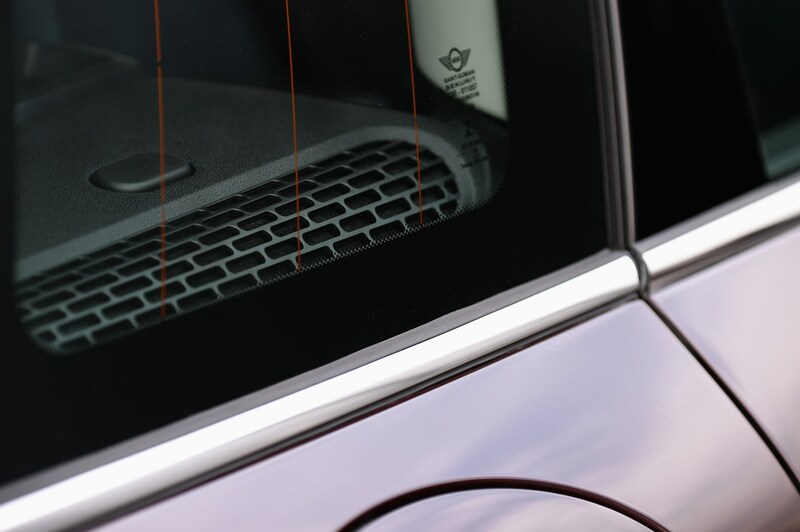 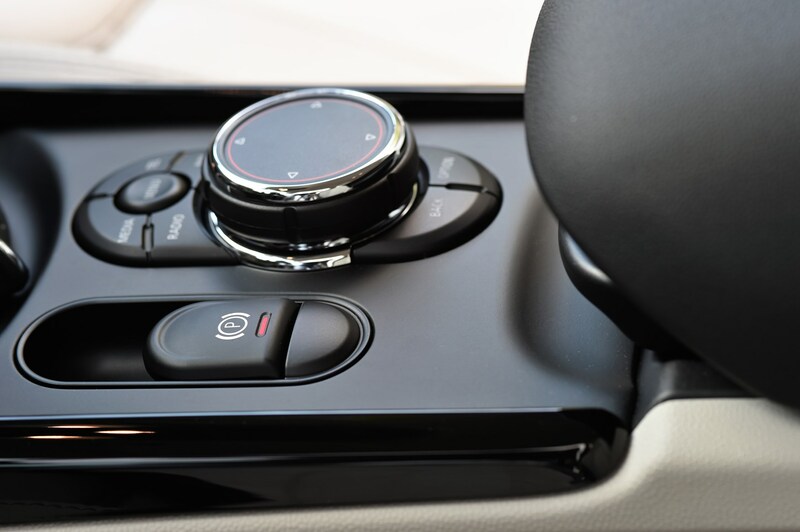 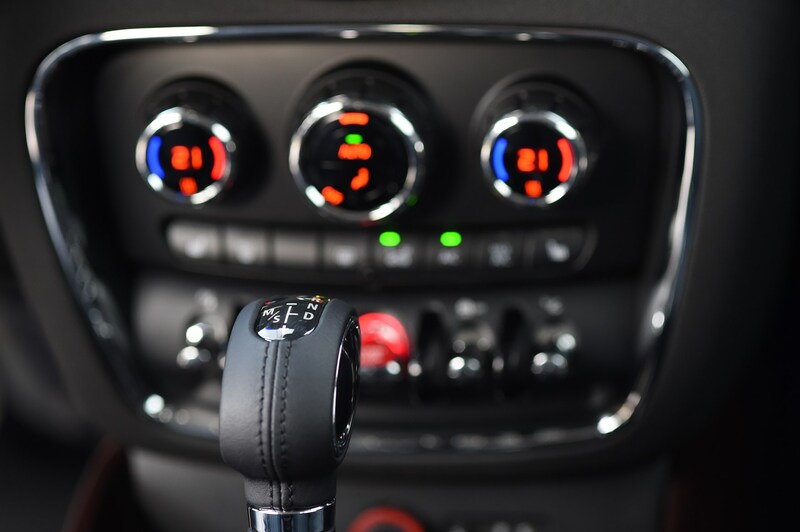 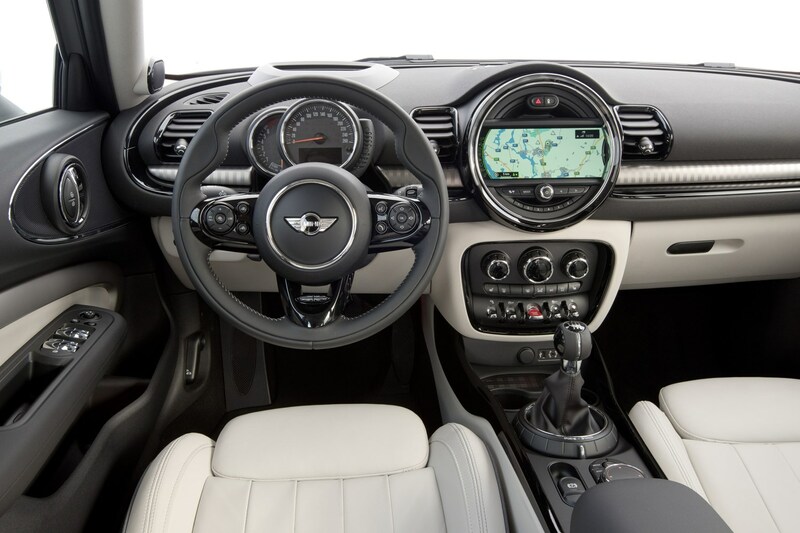 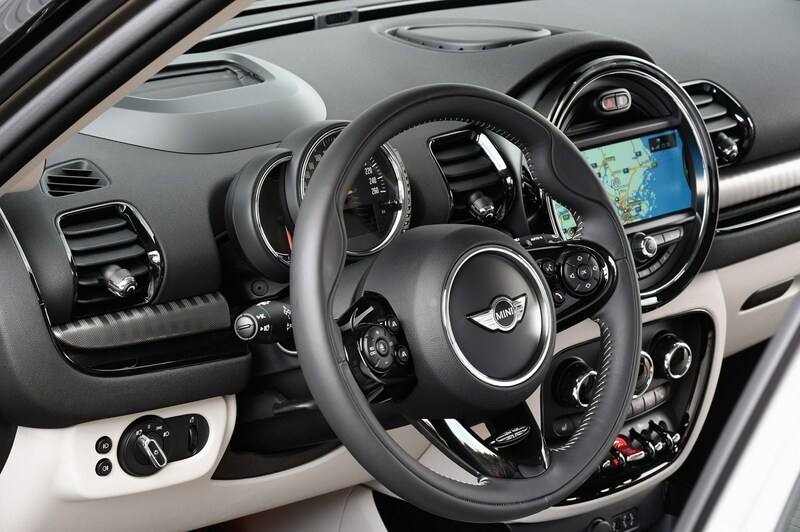 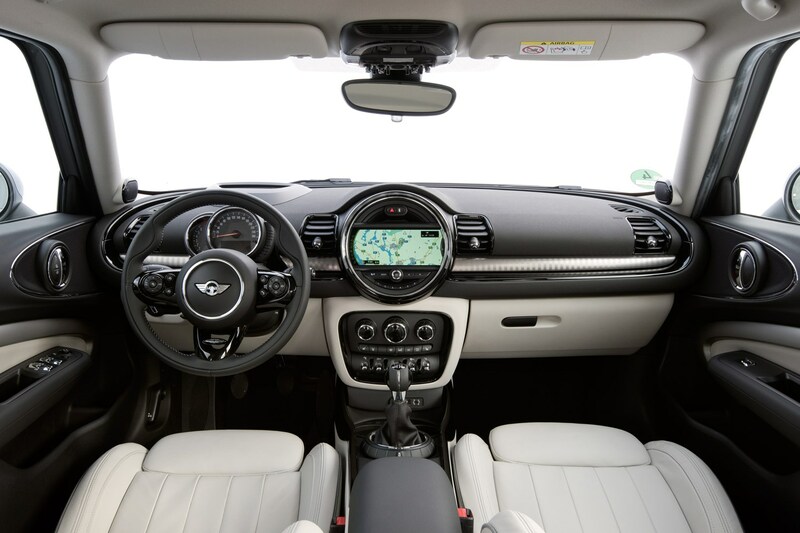 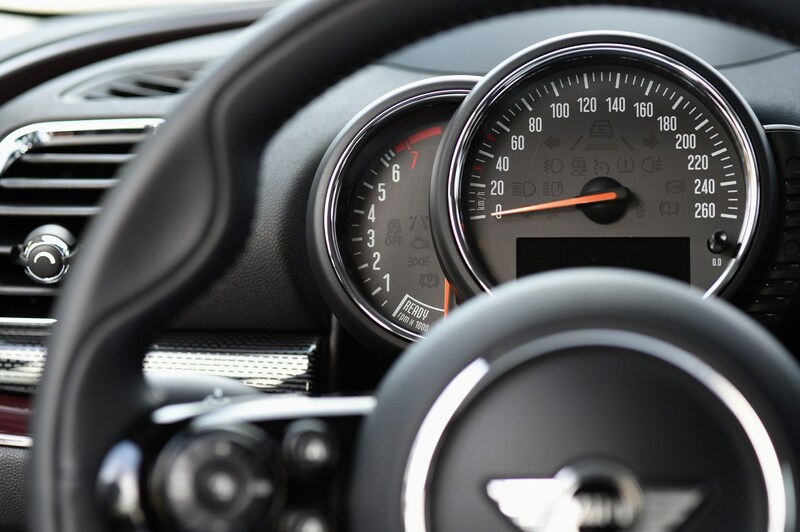 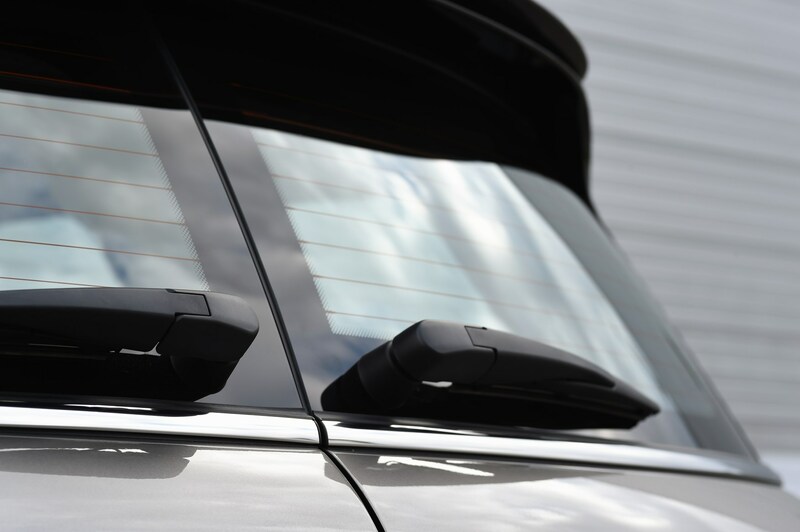 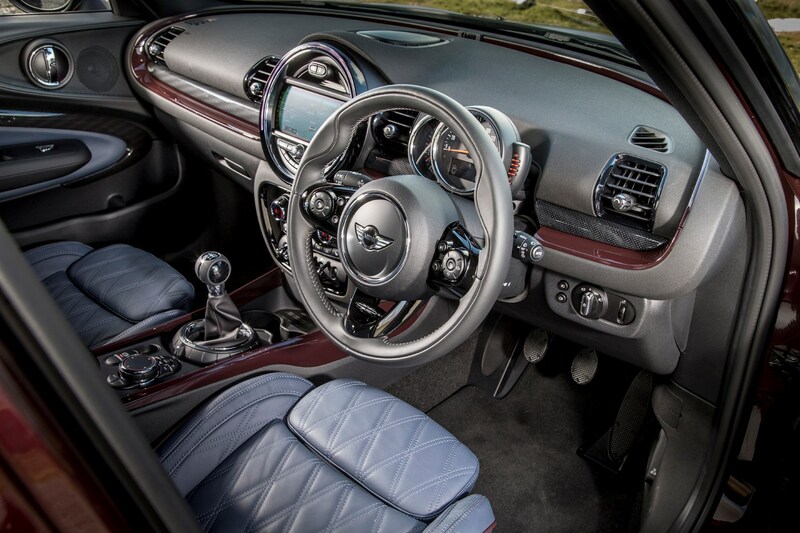 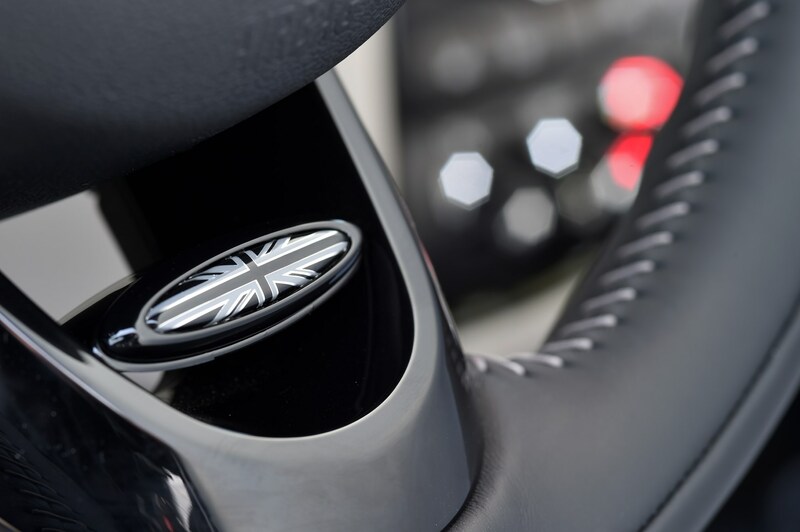 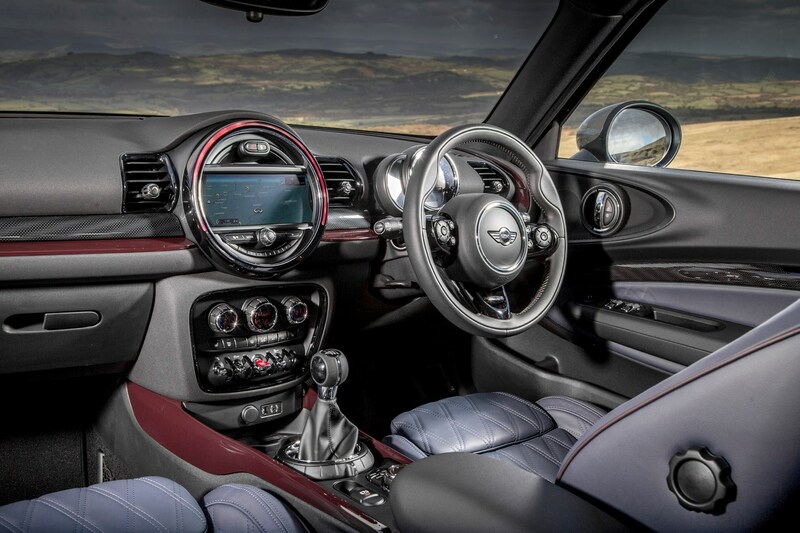 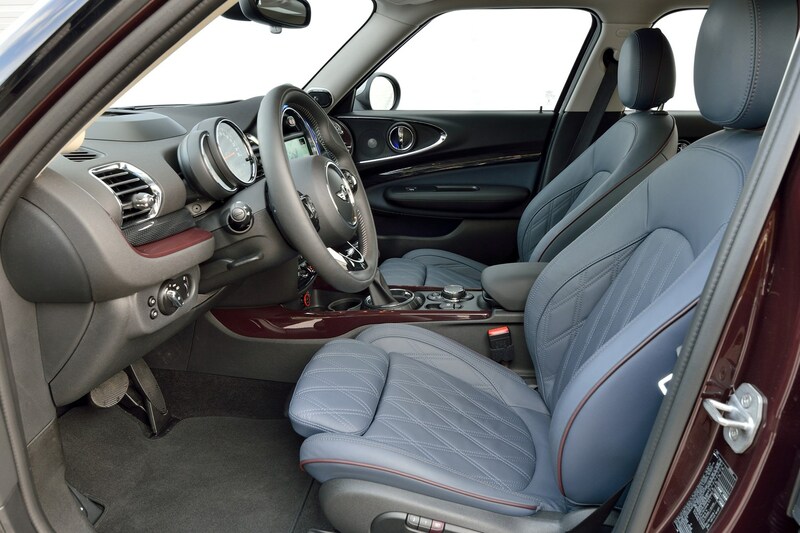 As well as 16-inch alloy wheels, you also get air conditioning and sat nav, plus the “Excitement Package”, which, among other things, projects a MINI logo from the driver’s side door mirror when the car is opened and closed. 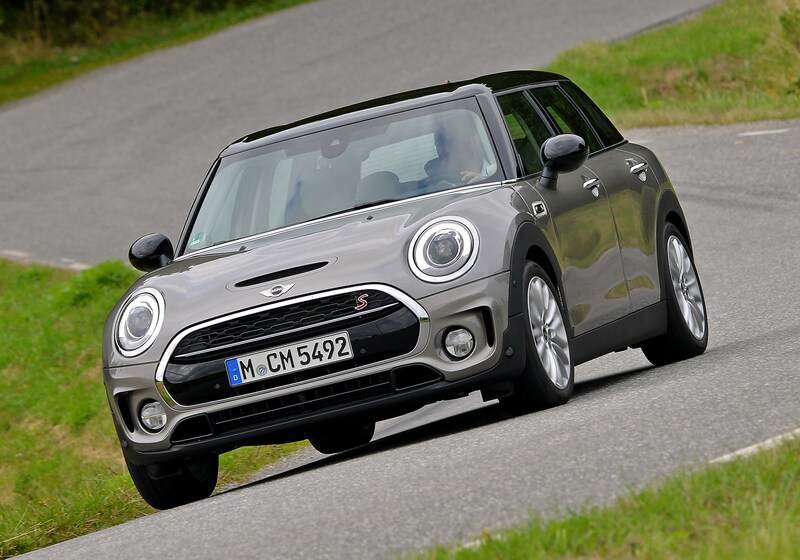 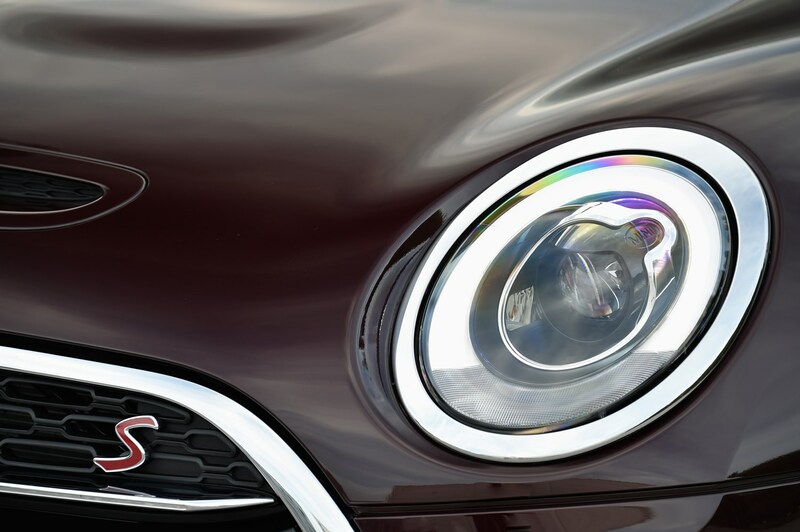 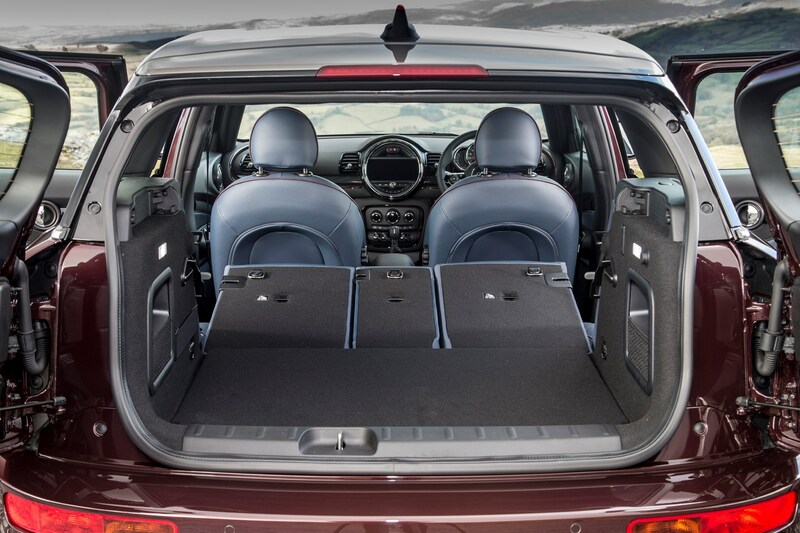 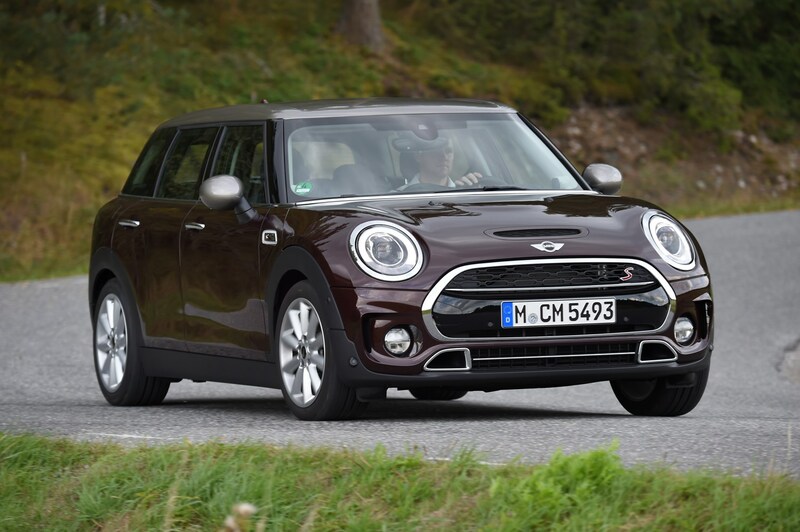 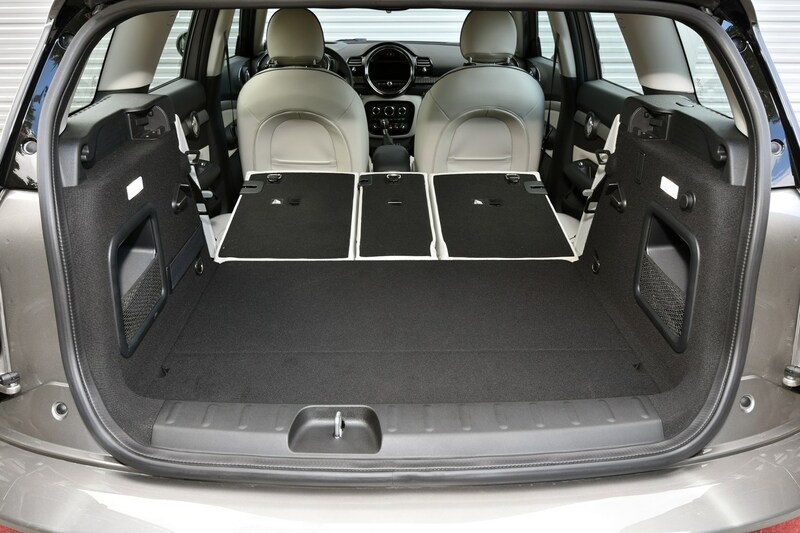 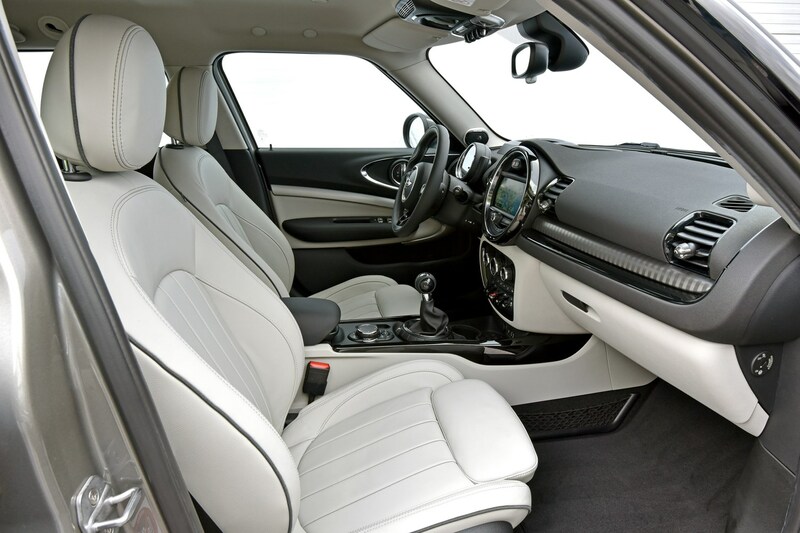 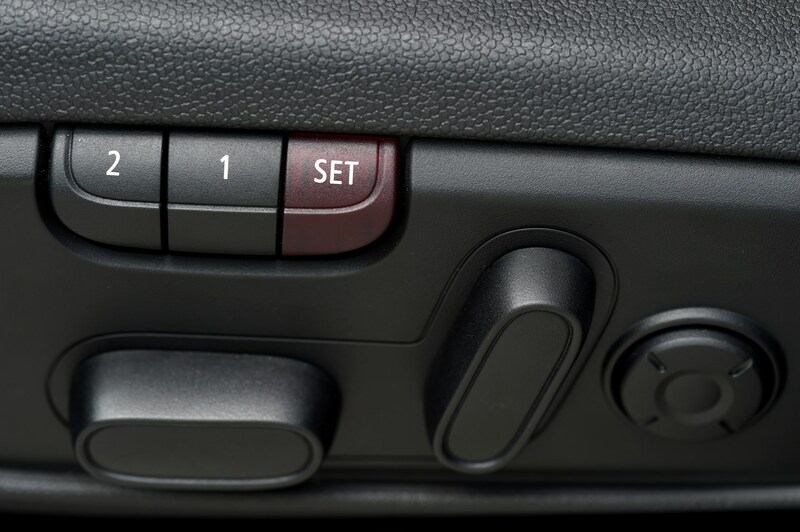 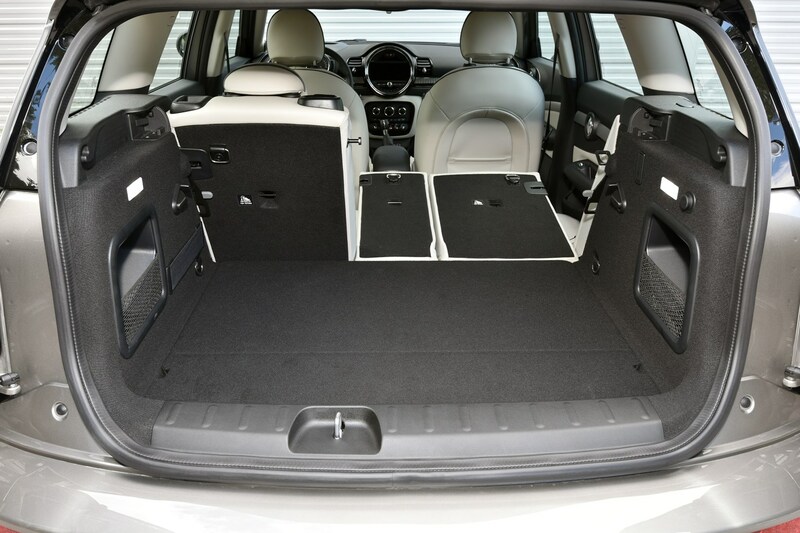 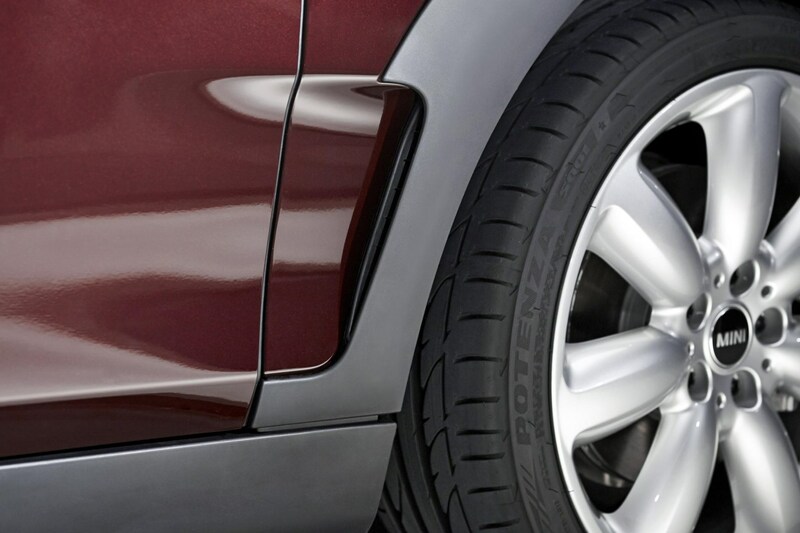 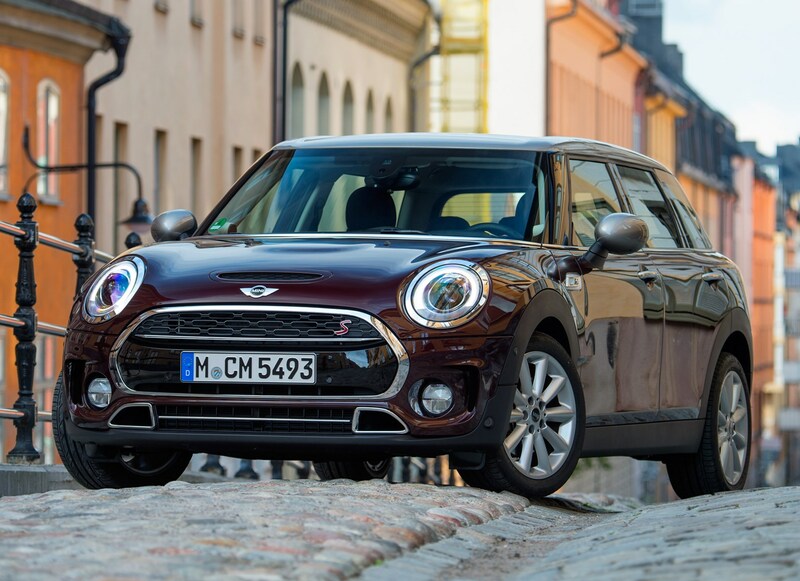 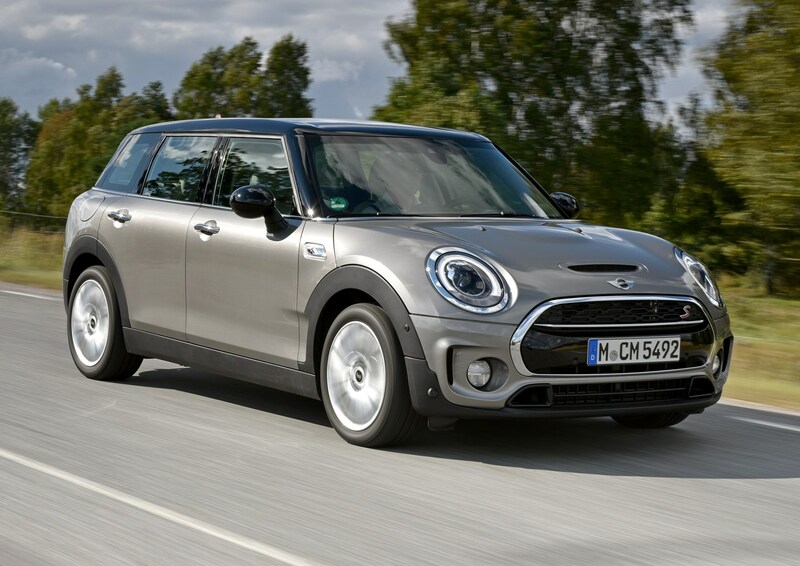 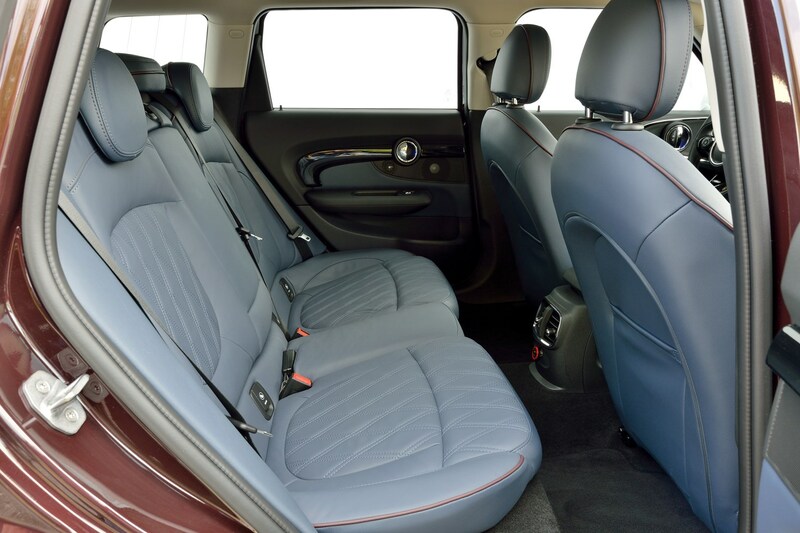 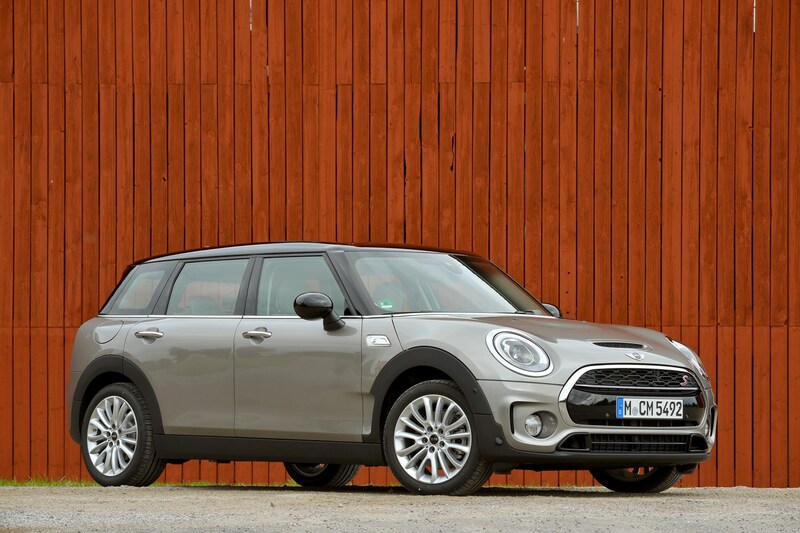 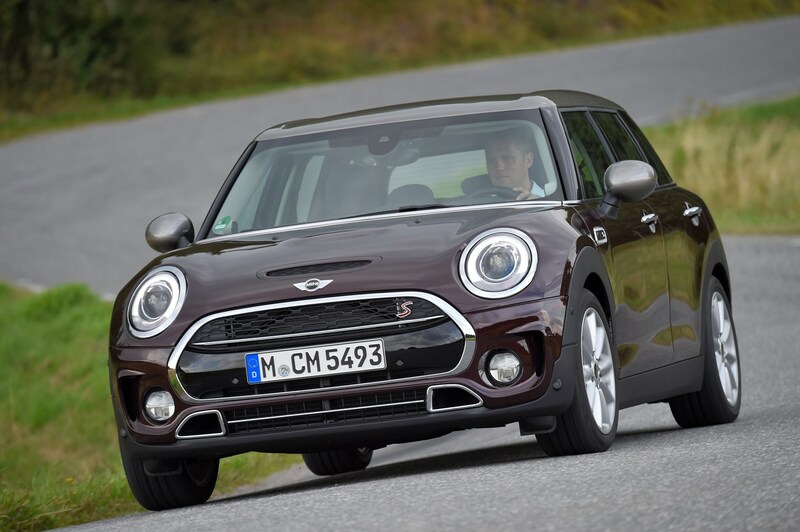 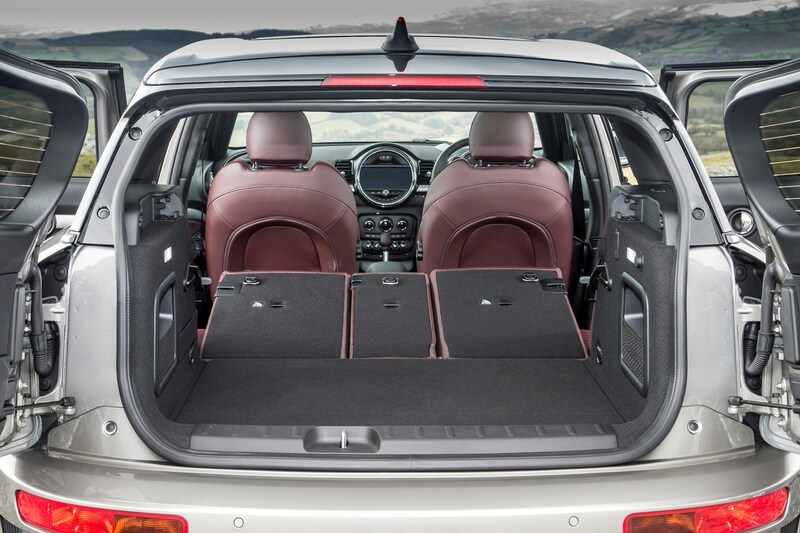 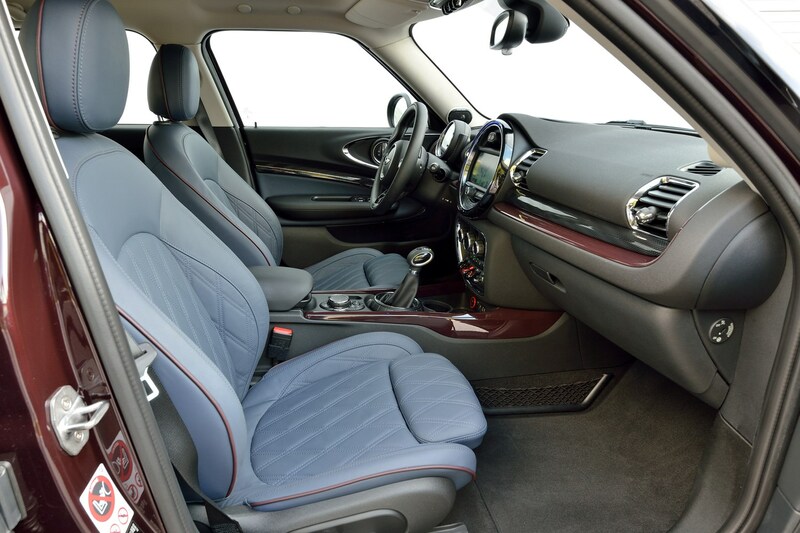 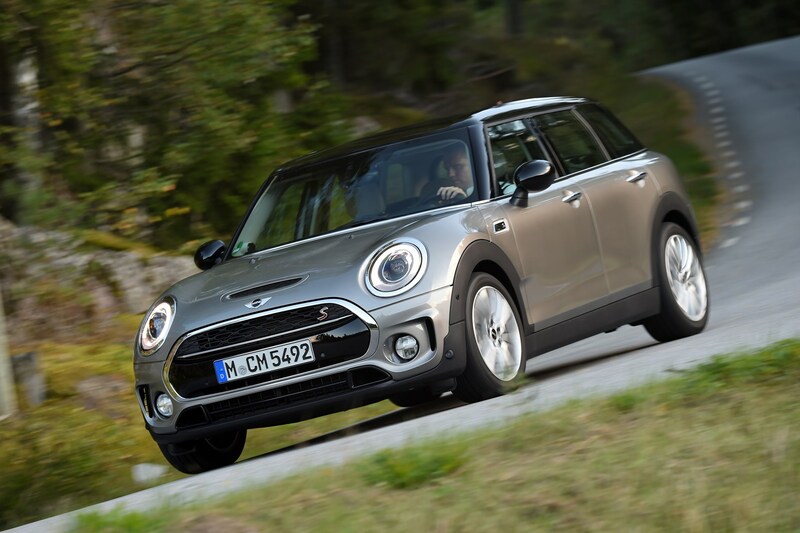 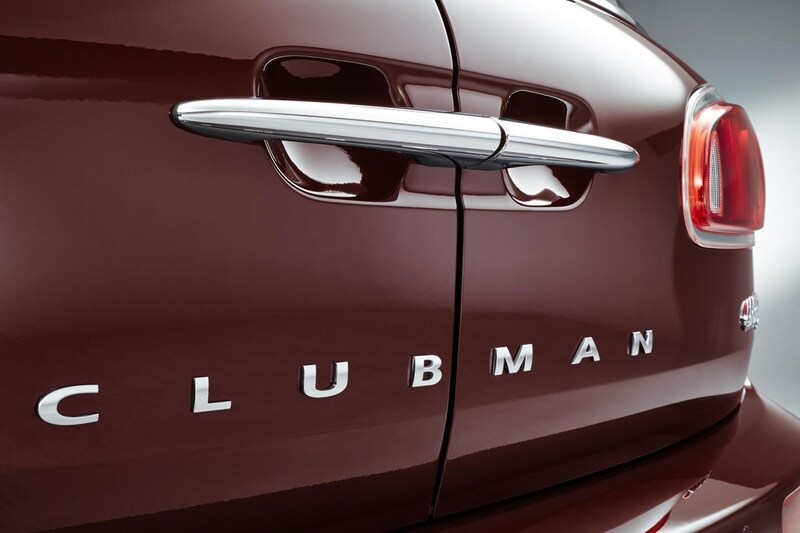 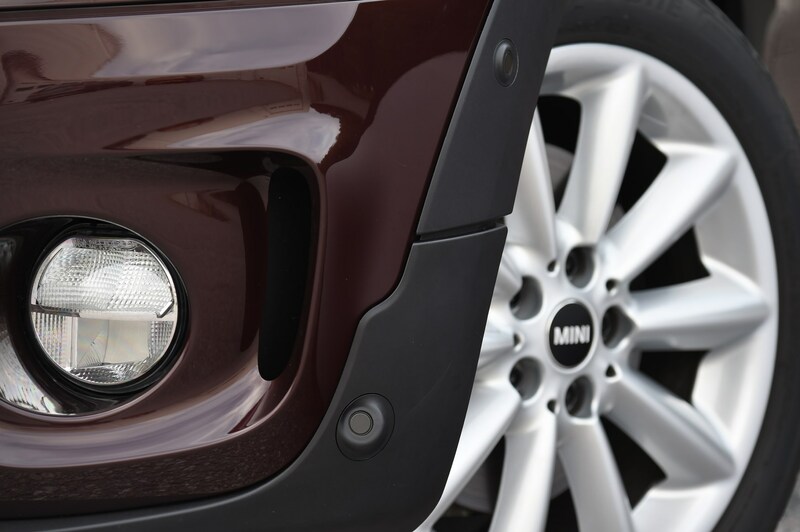 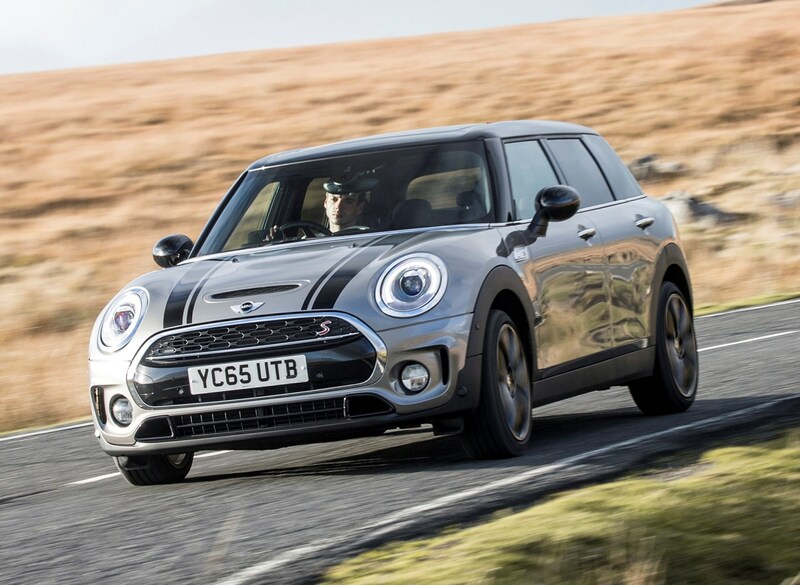 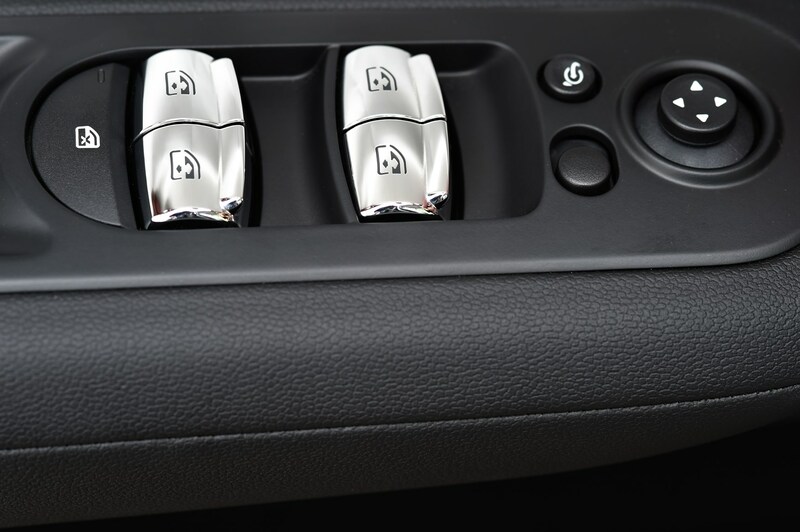 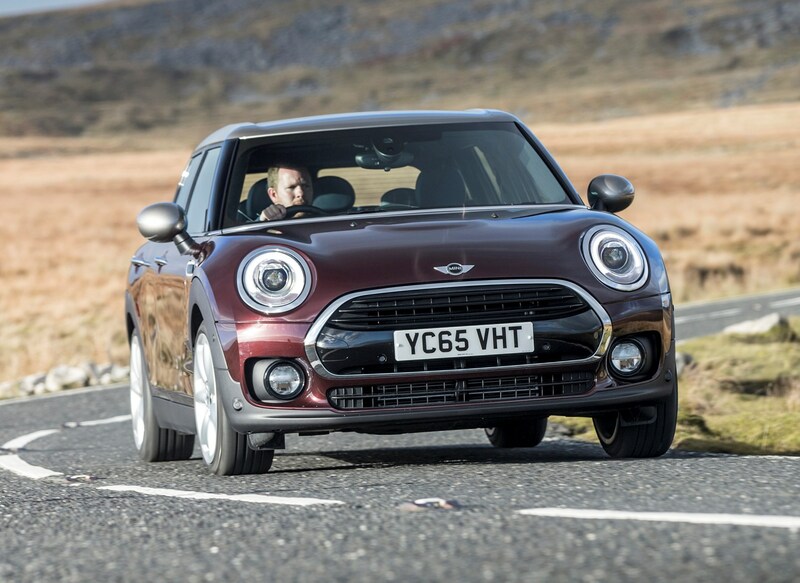 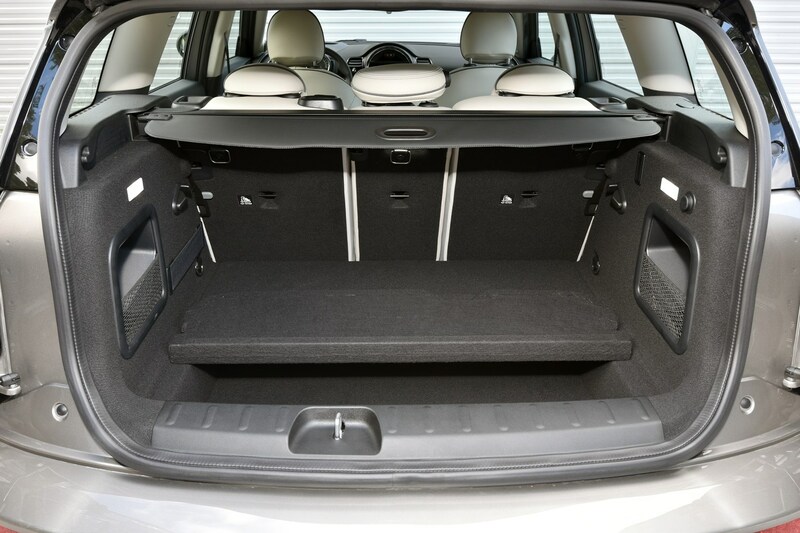 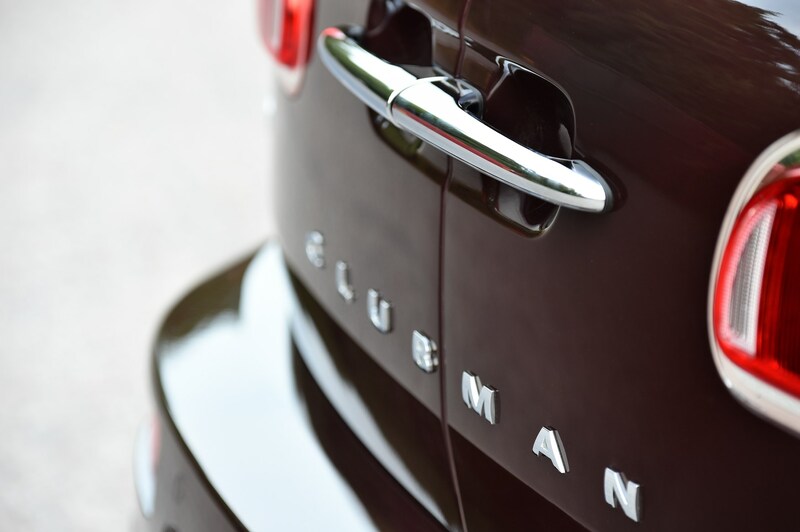 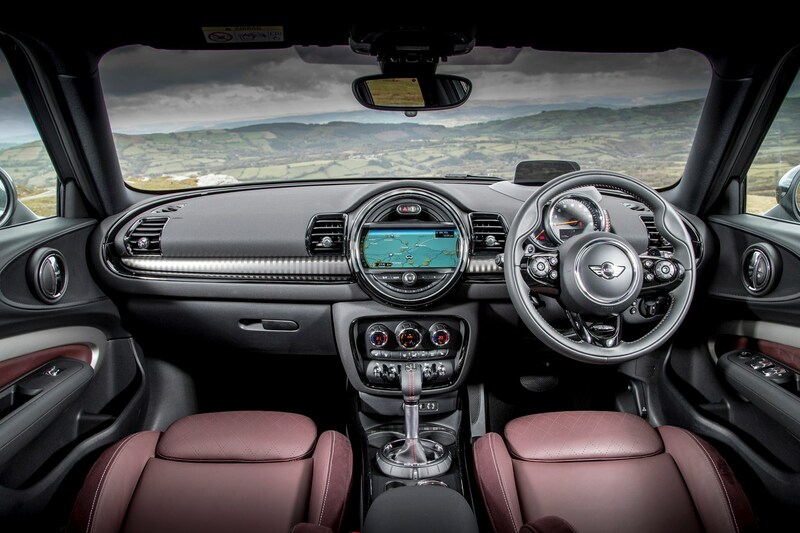 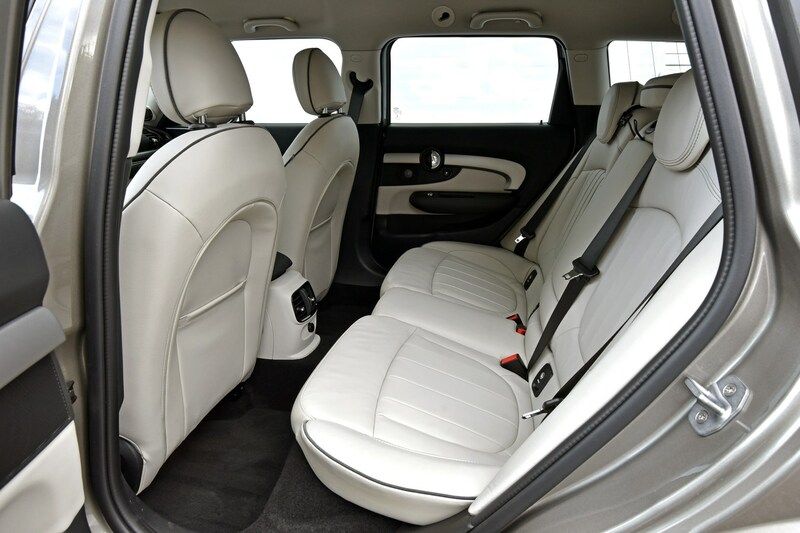 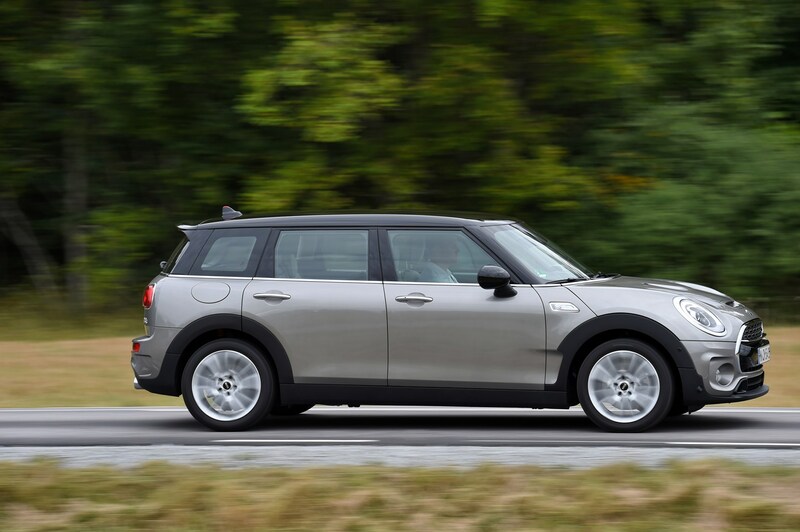 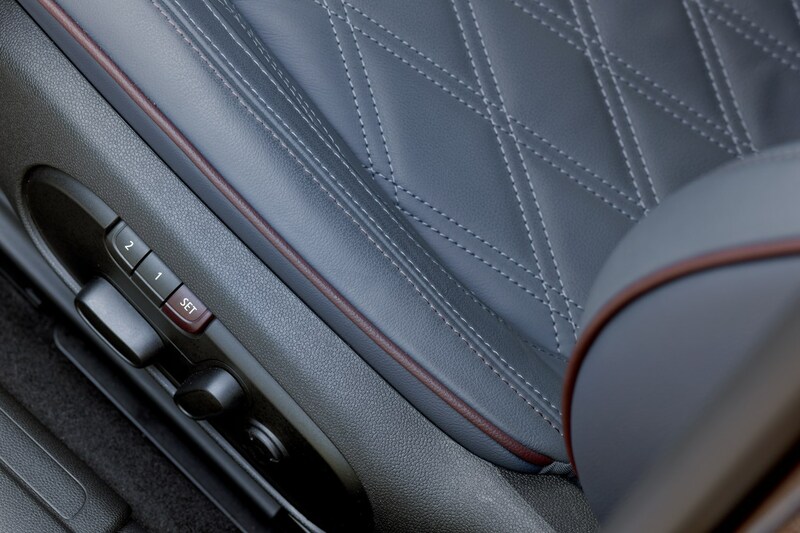 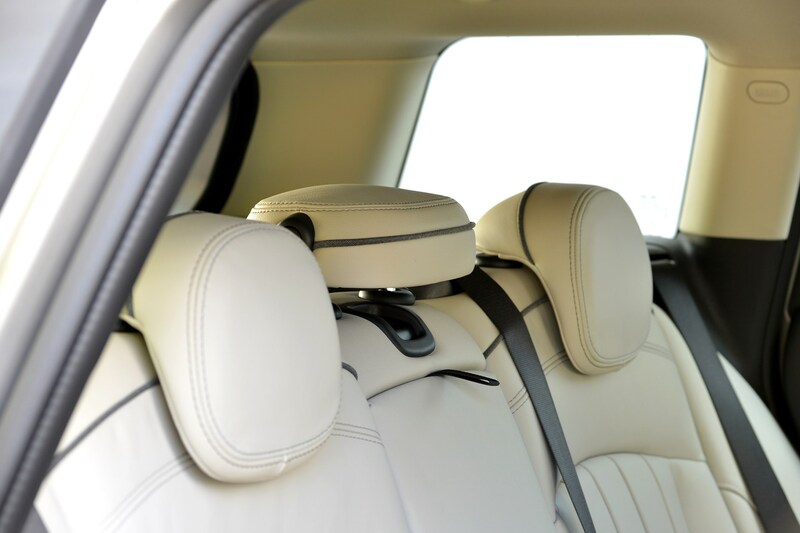 All cars get an upgraded cabin compared to the last Clubman, with a full length transmission tunnel offering additional storage and there’s a serious uplift in the quality of materials used. 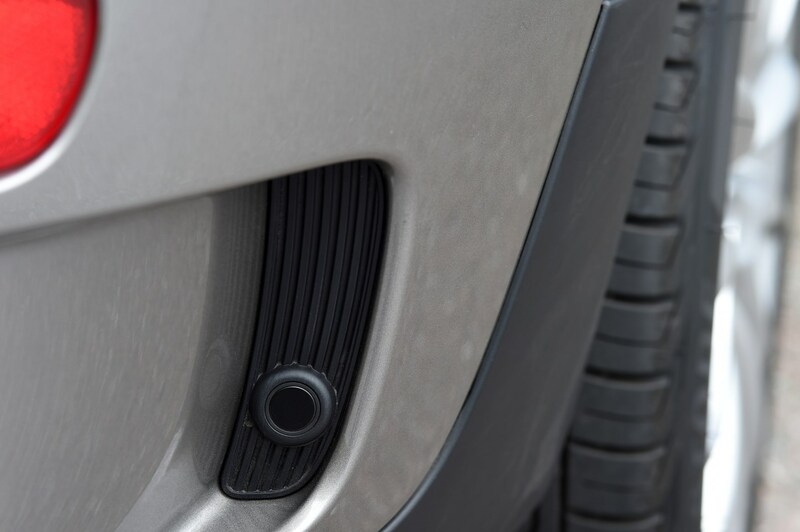 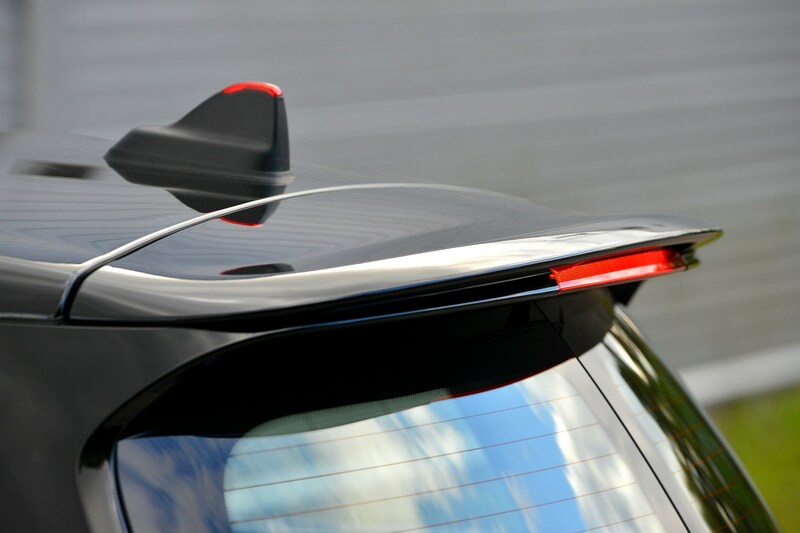 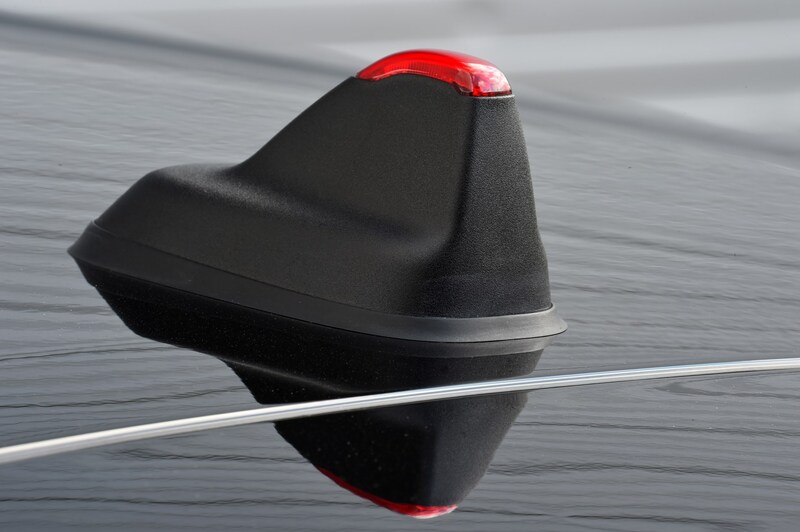 The barn-door boot hatch remains and this can now be opened remotely using the key fob, or by a kicking motion under the rear bumper. 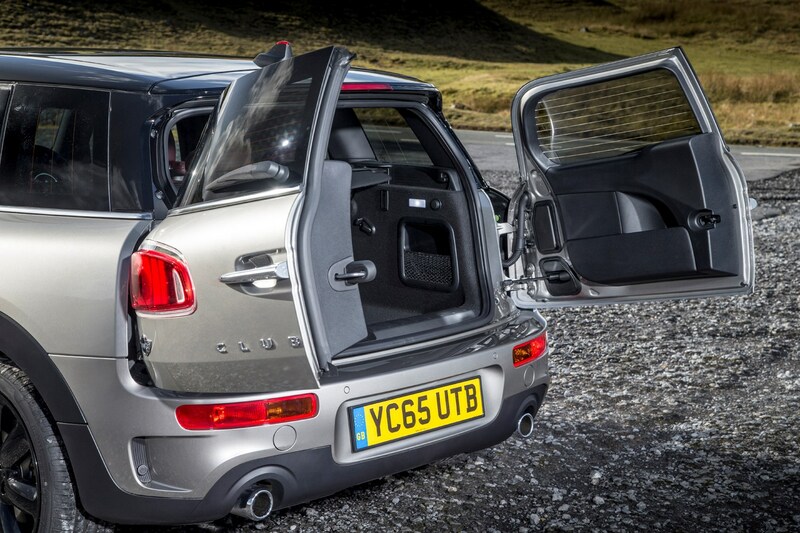 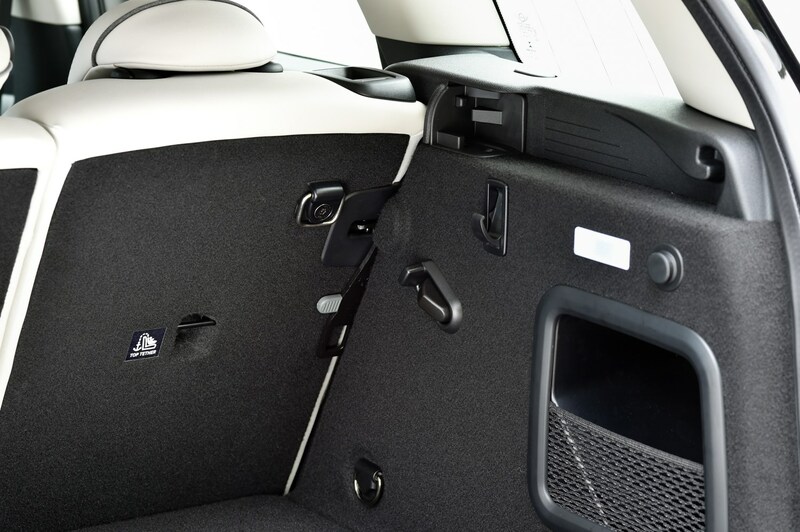 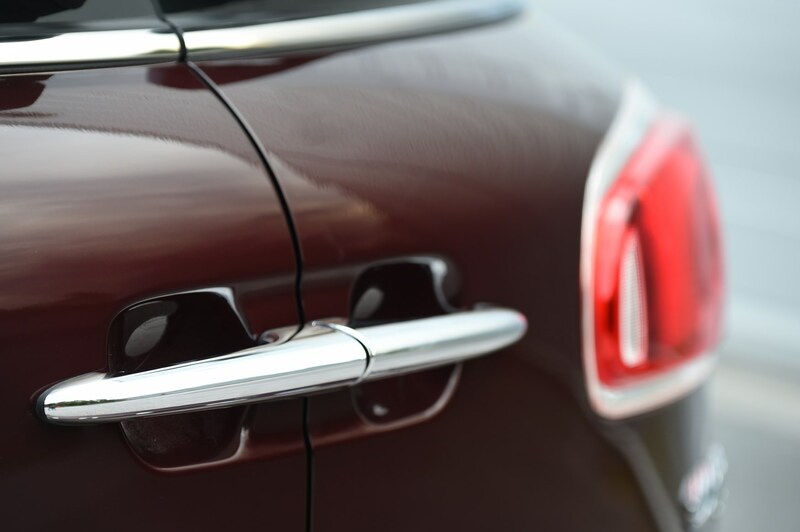 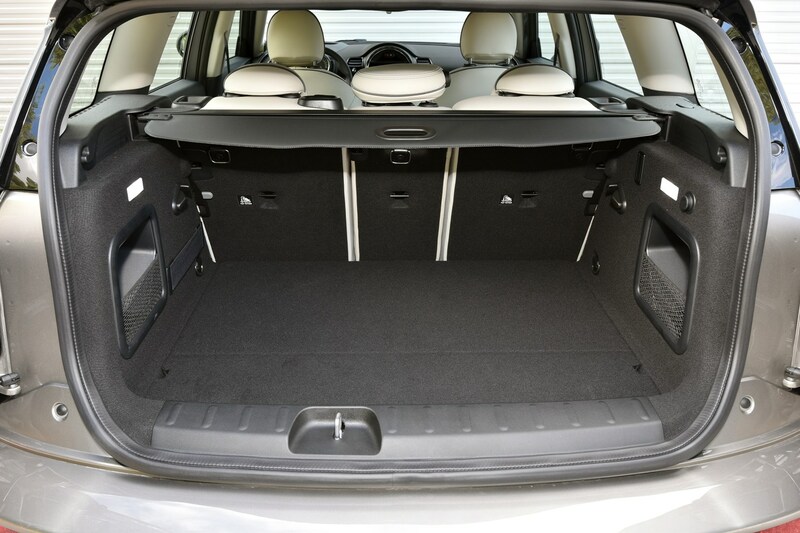 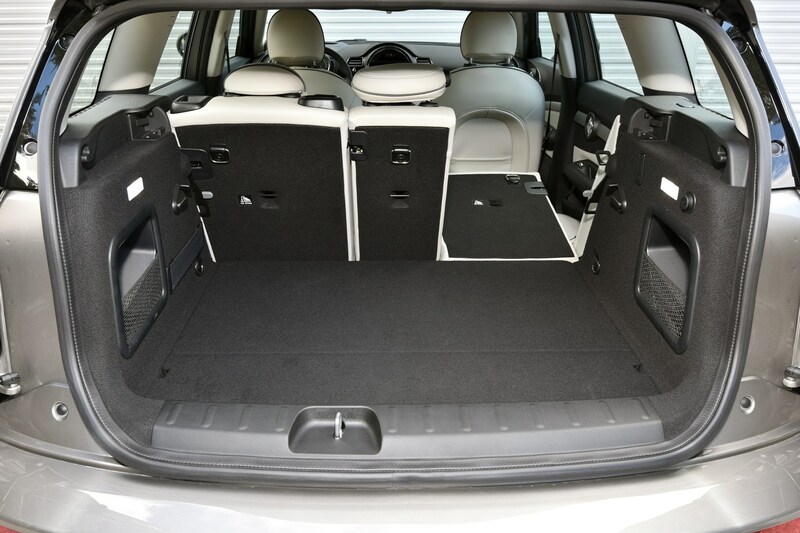 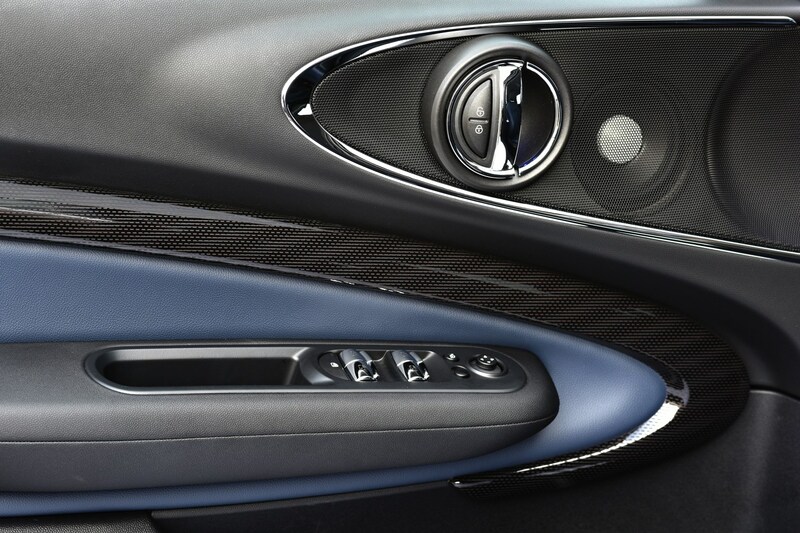 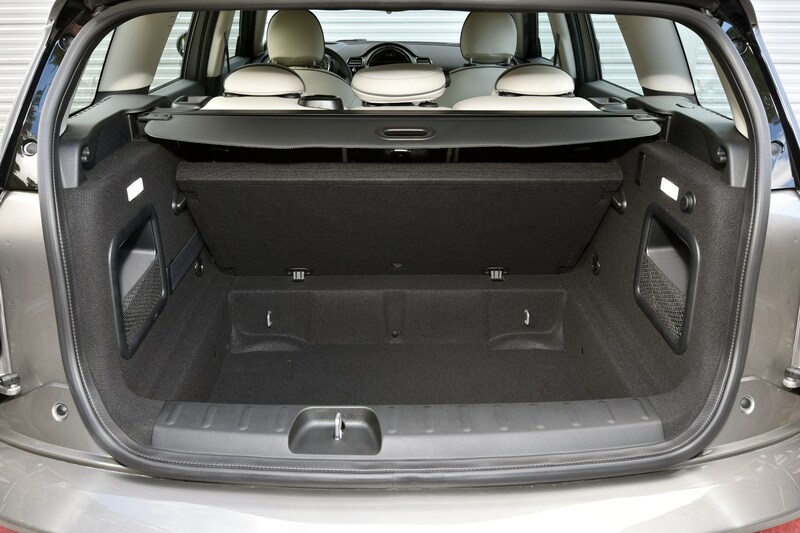 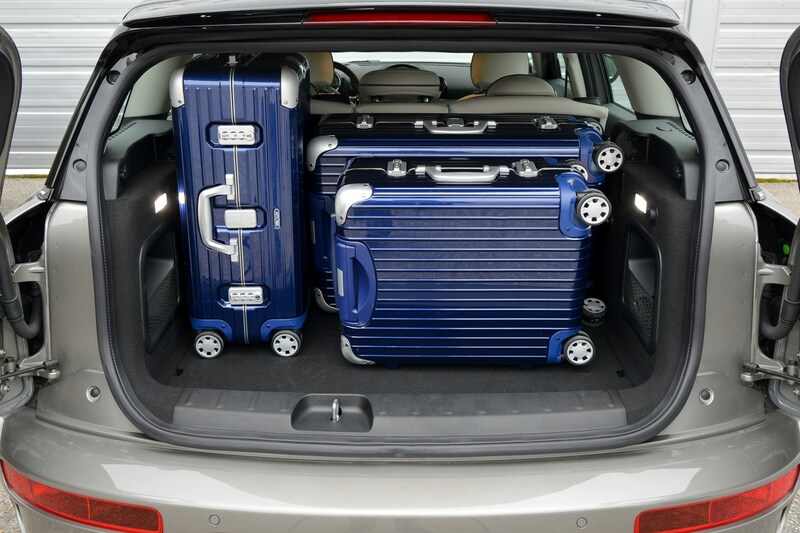 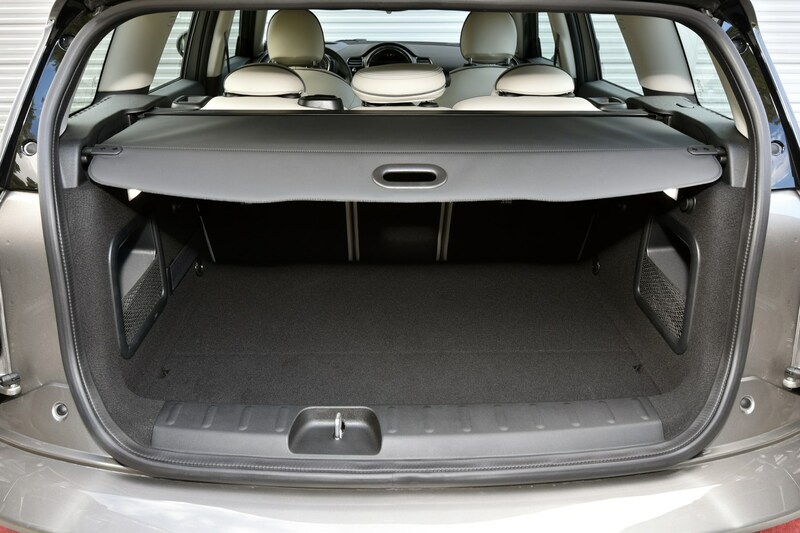 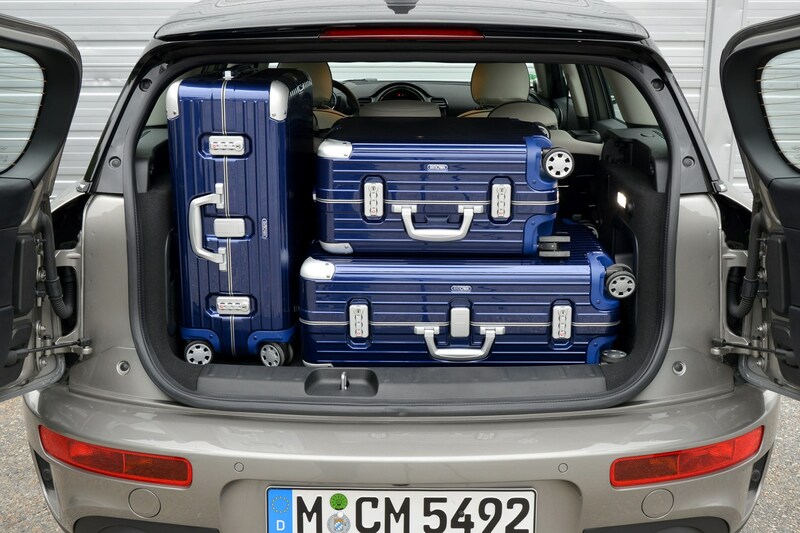 You also get two proper rear doors now rather than the previous car’s Clubdoor, which passengers had to squeeze through in order to get out, often onto the road. 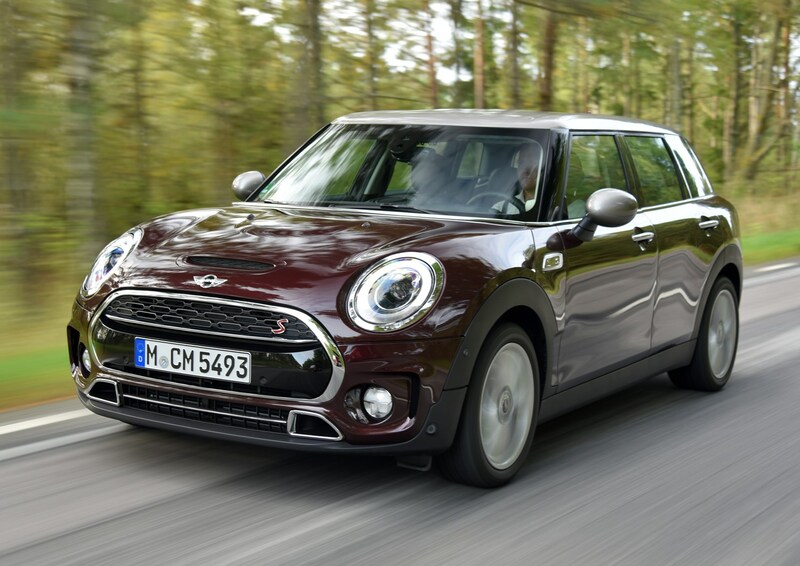 It might not be as sharp as the hatchback but the Clubman has inherited all of the smaller car’s character, offering agile handling and strong levels of grip. 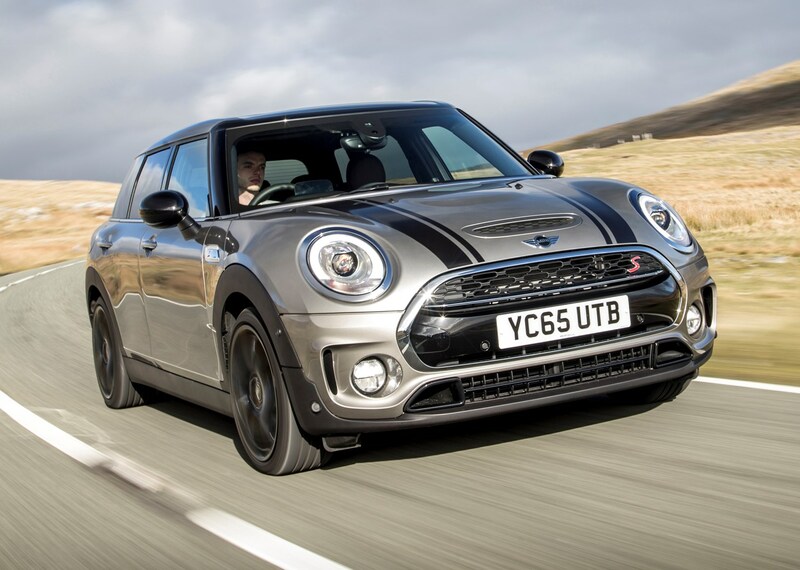 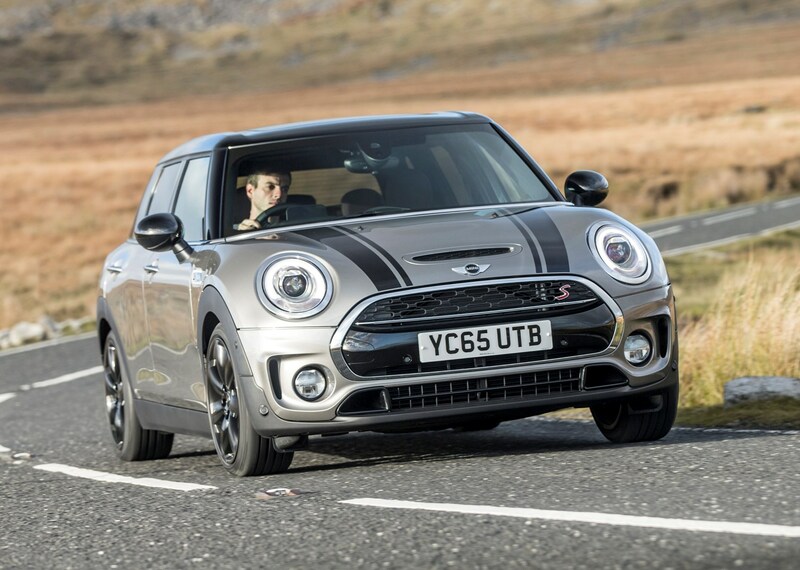 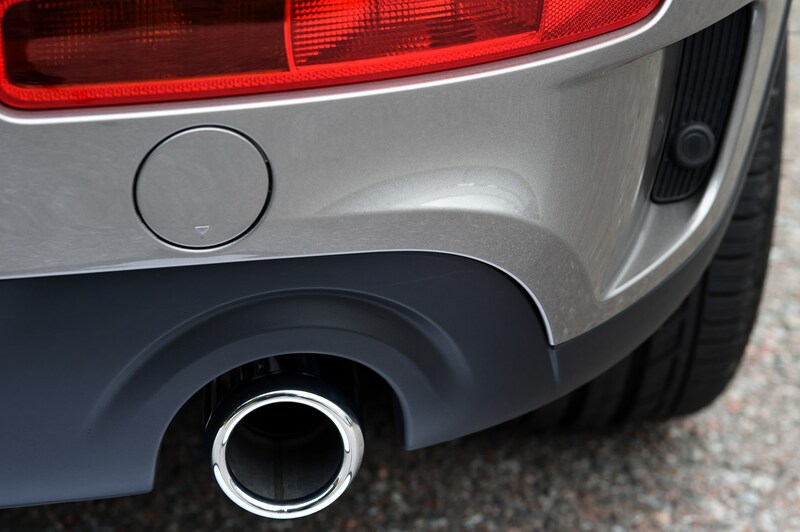 The Cooper S is particularly fun to drive thanks to its powerful petrol engine and vocal exhaust, which bangs and clatters like a rally car as you race through the gears. 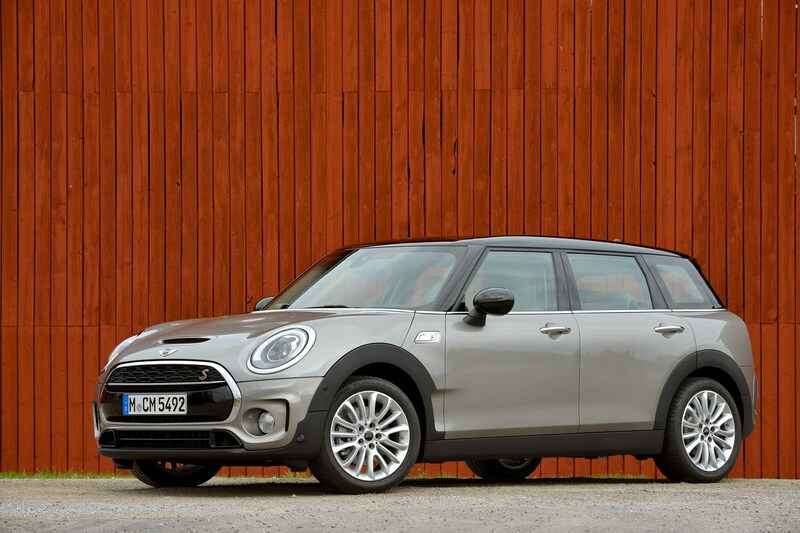 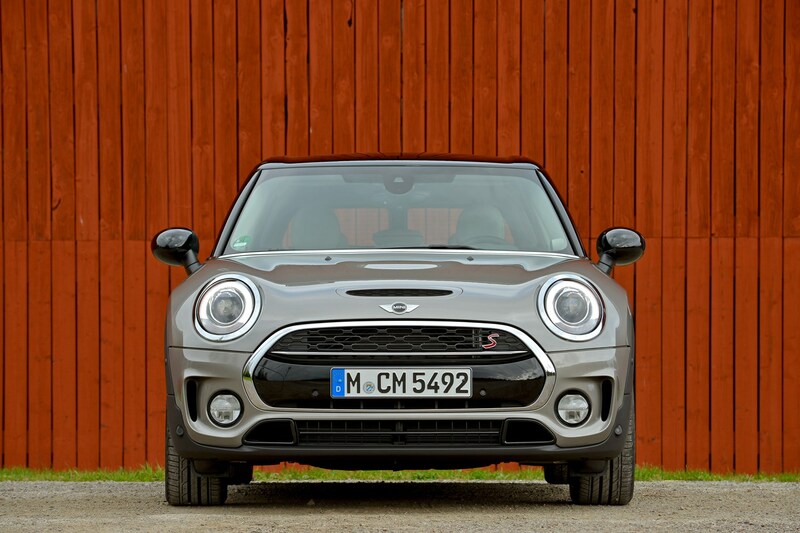 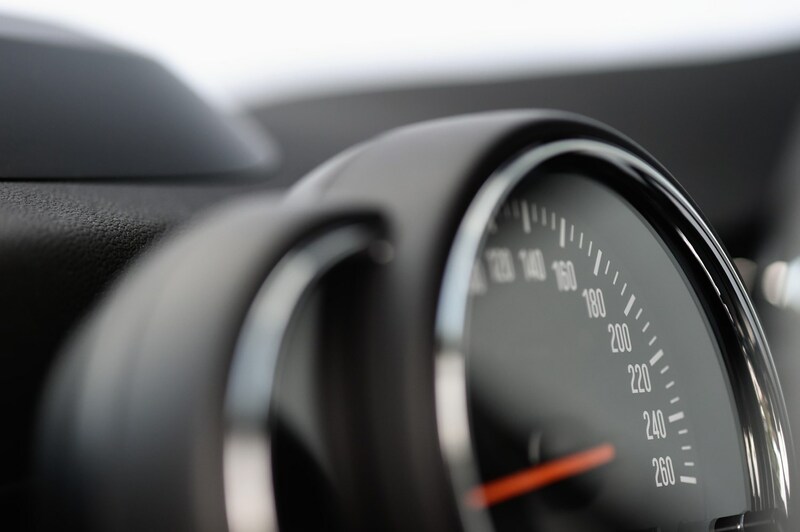 Other cars in this segment offer a more serious and precise drive, but there are few that will put a smile on your face like the MINI. 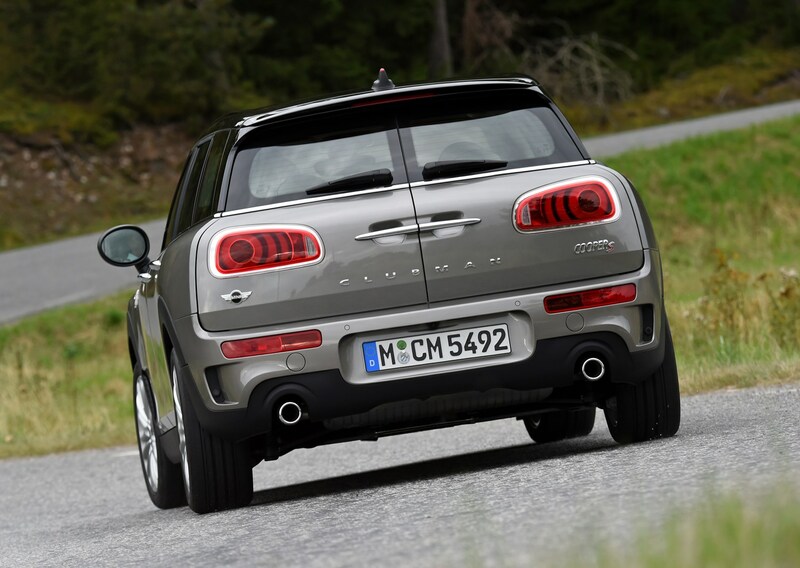 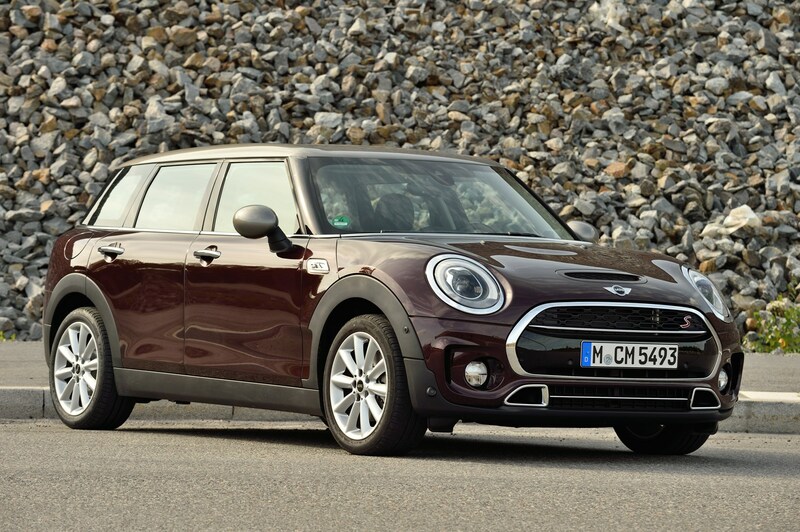 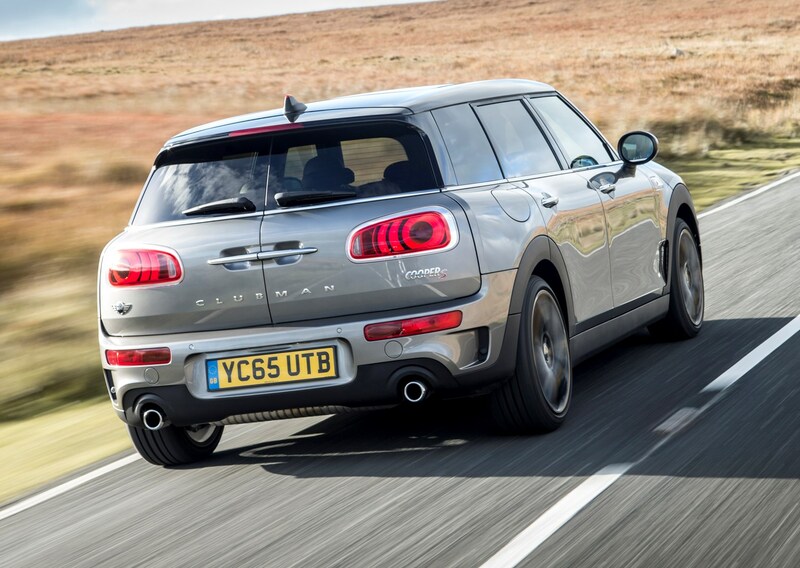 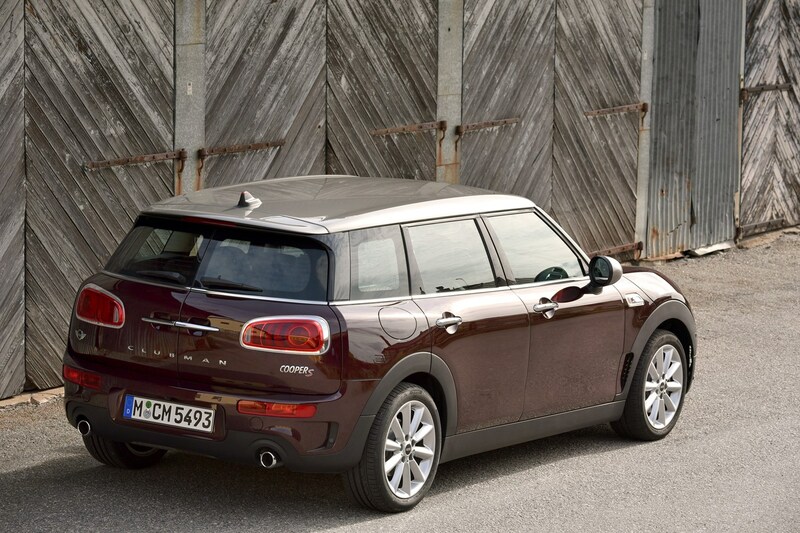 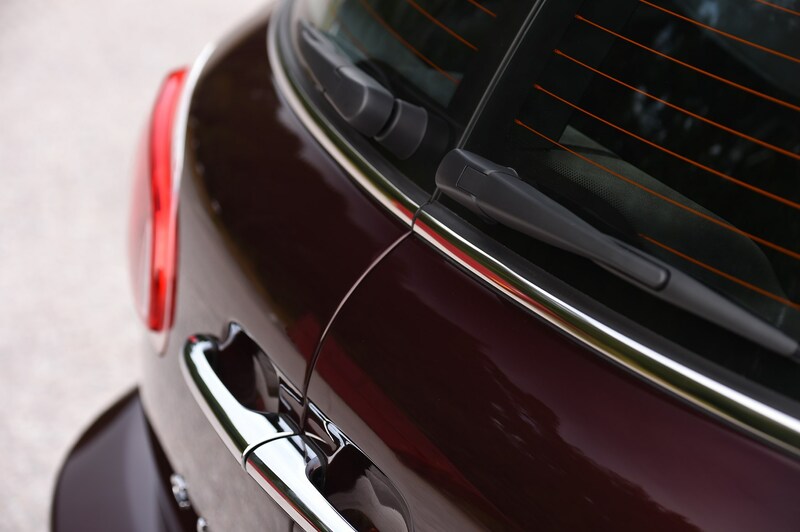 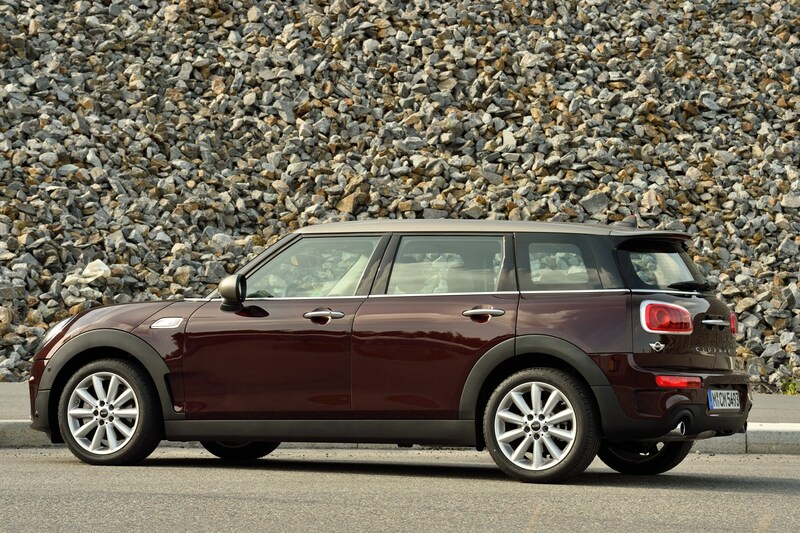 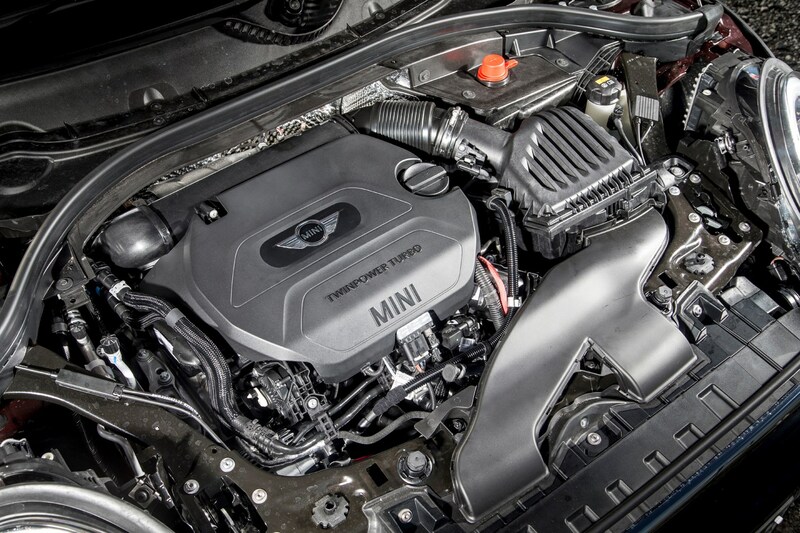 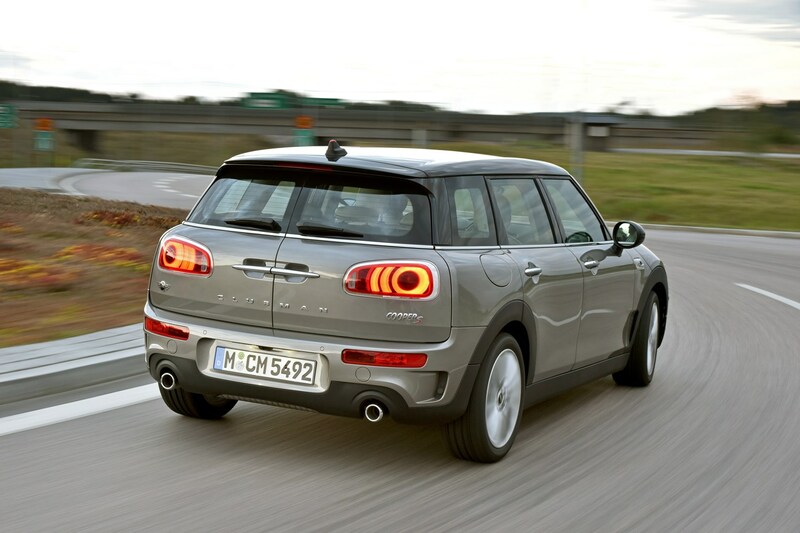 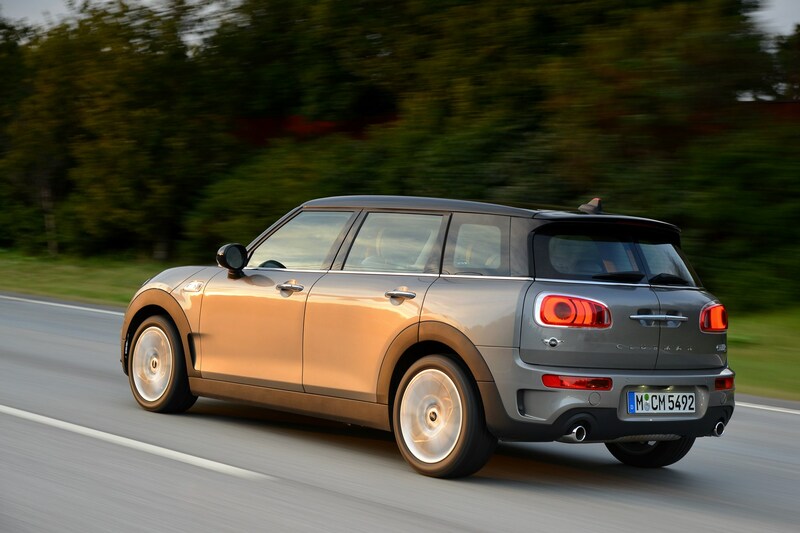 Find out what we like most about this new family hatchback as we review the 2015 MINI Clubman.